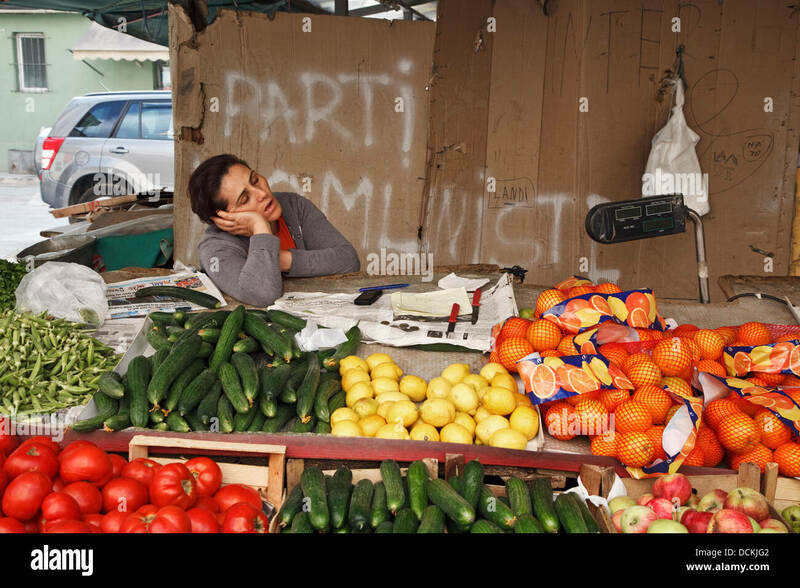 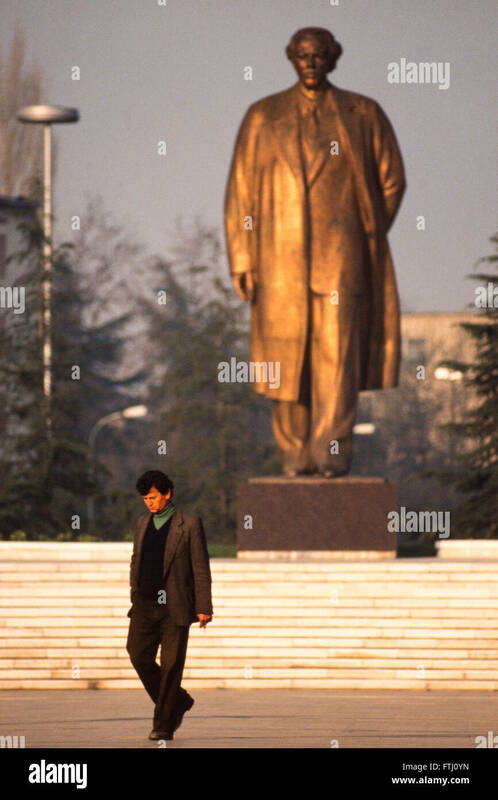 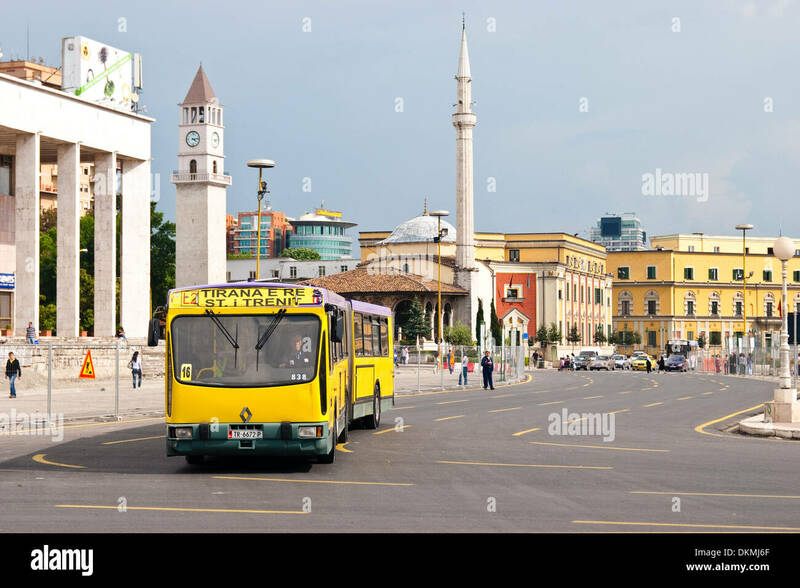 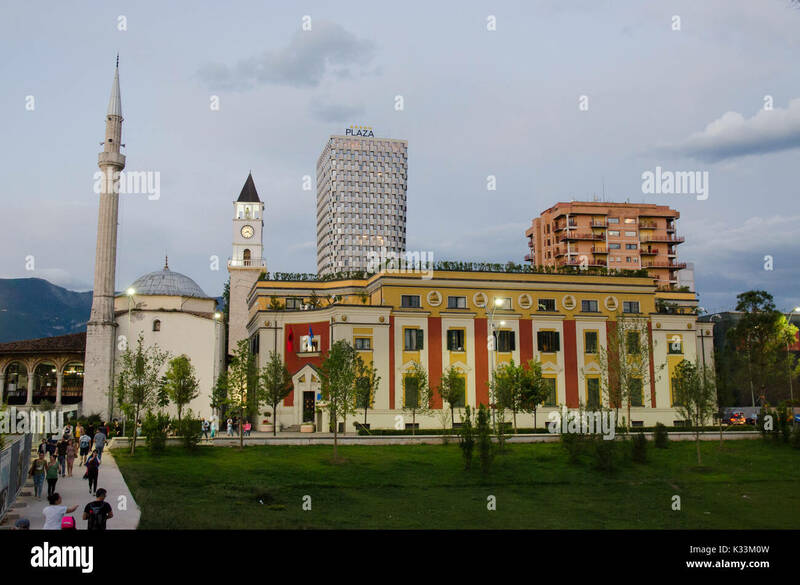 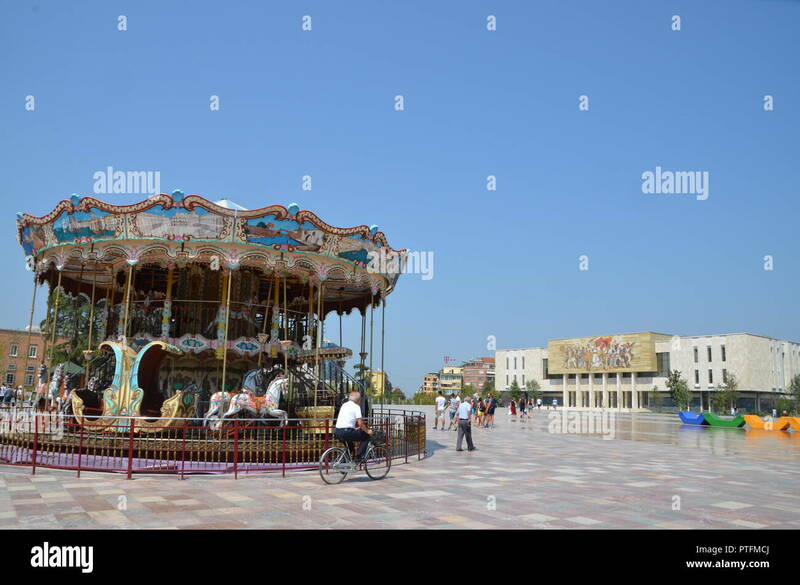 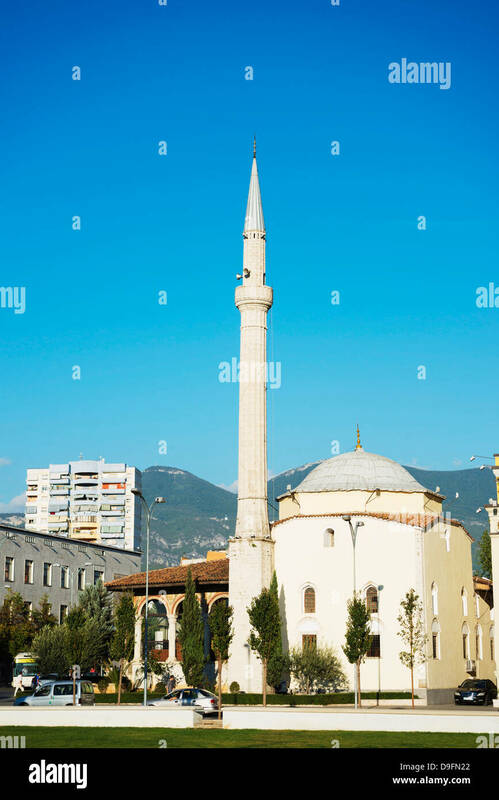 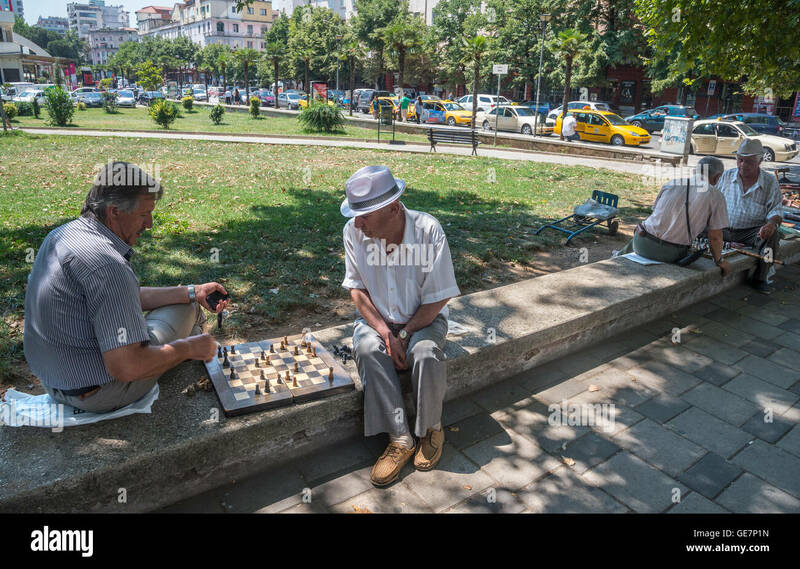 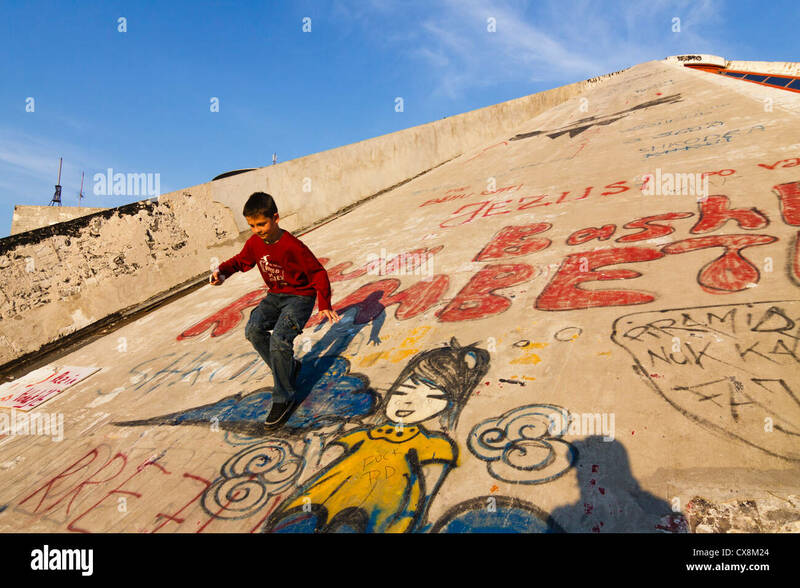 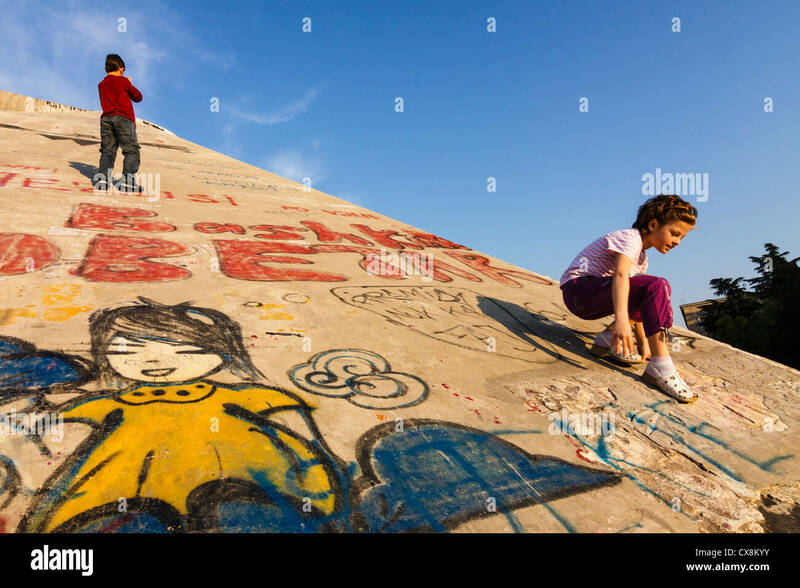 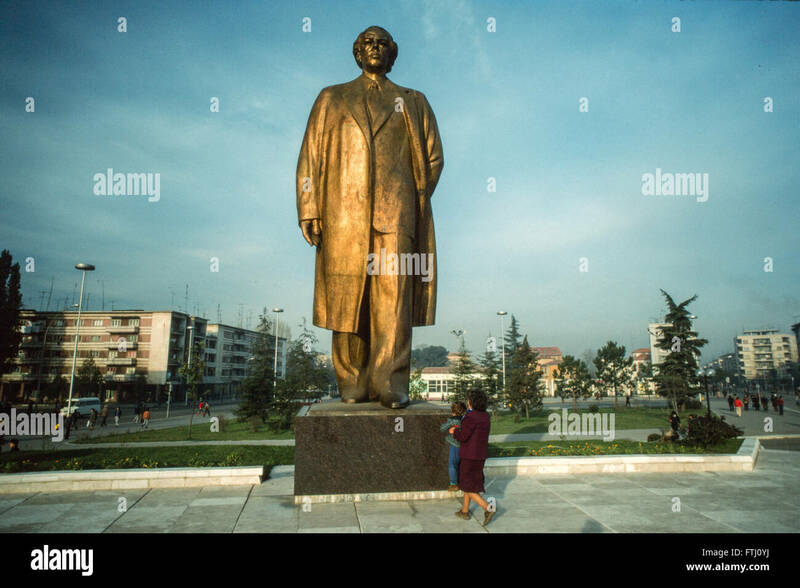 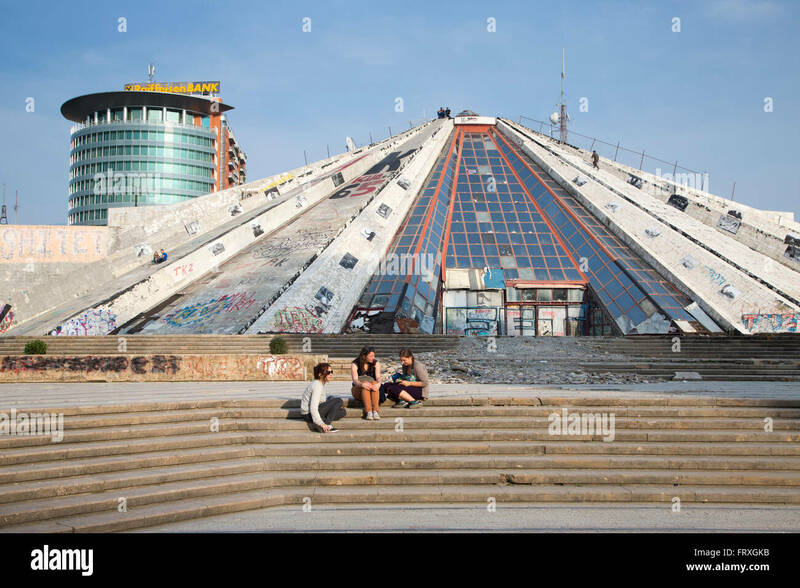 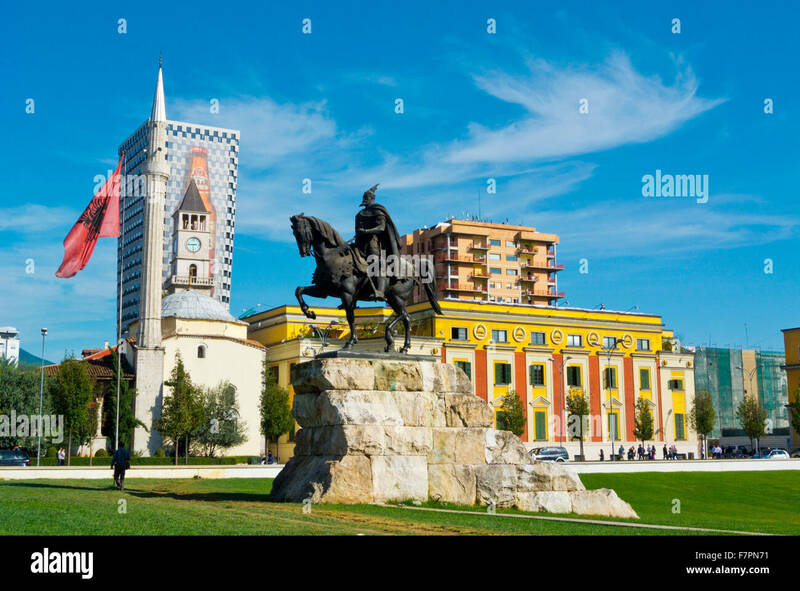 Tirana, Albania. 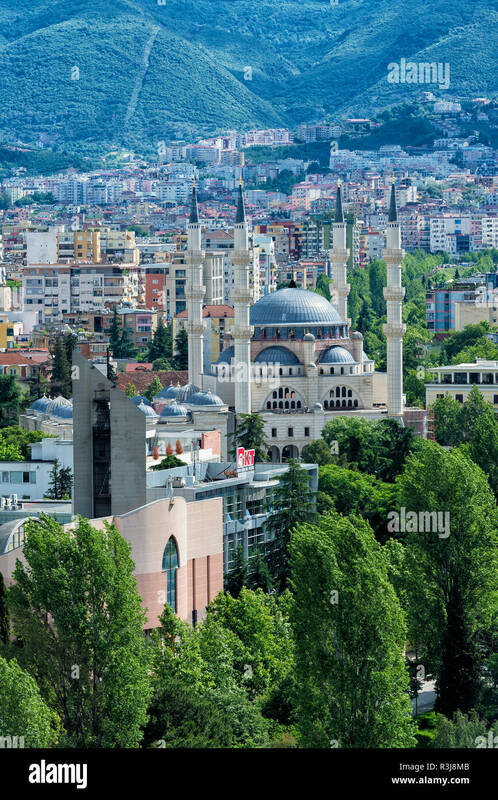 The Et'hem Bey mosque. 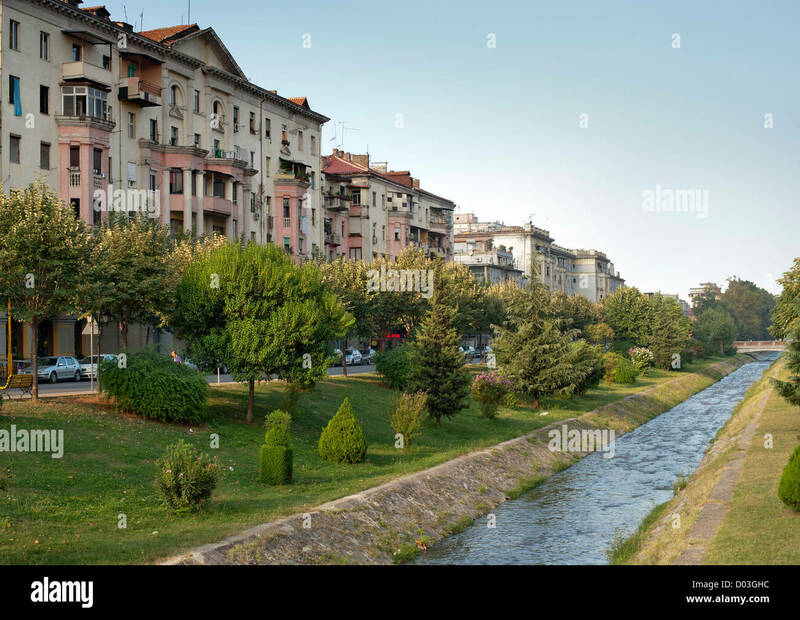 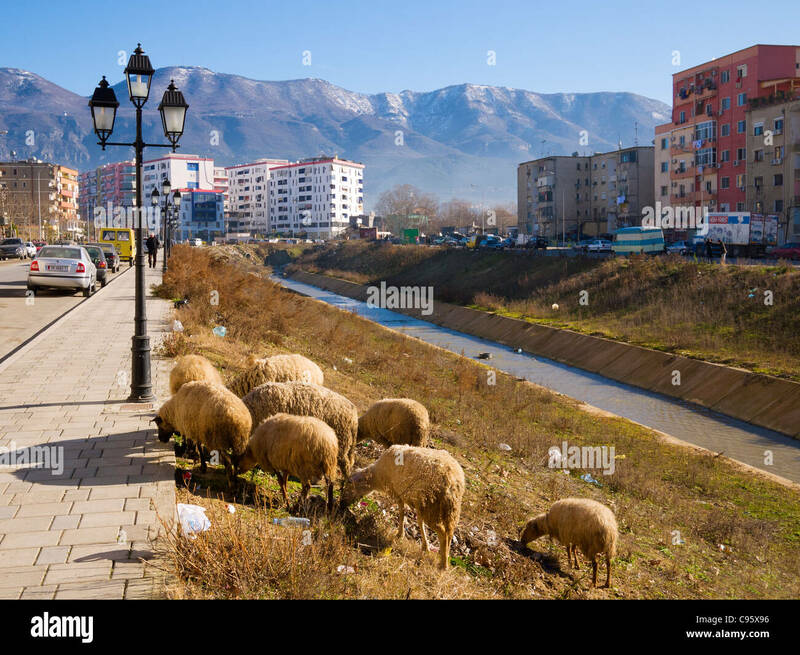 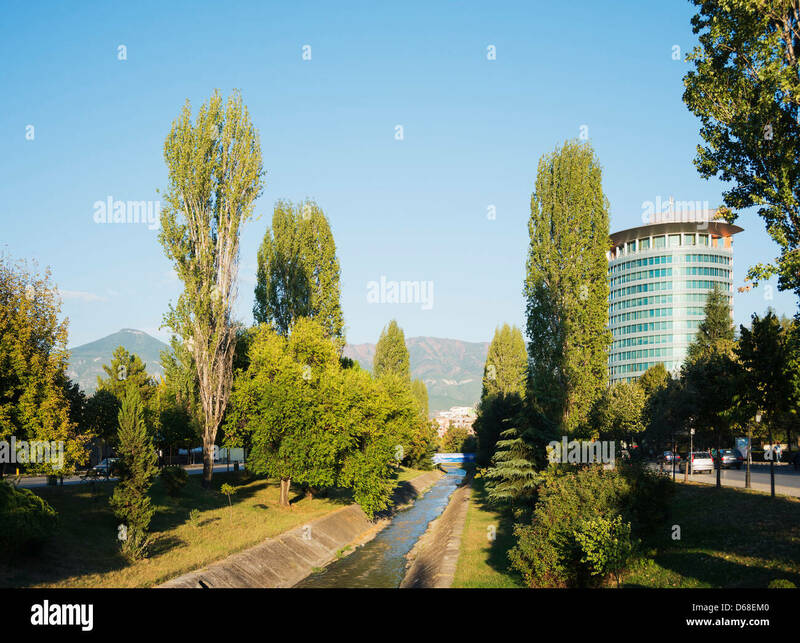 The Lana 'river' in Tirana, the capital of Albania. 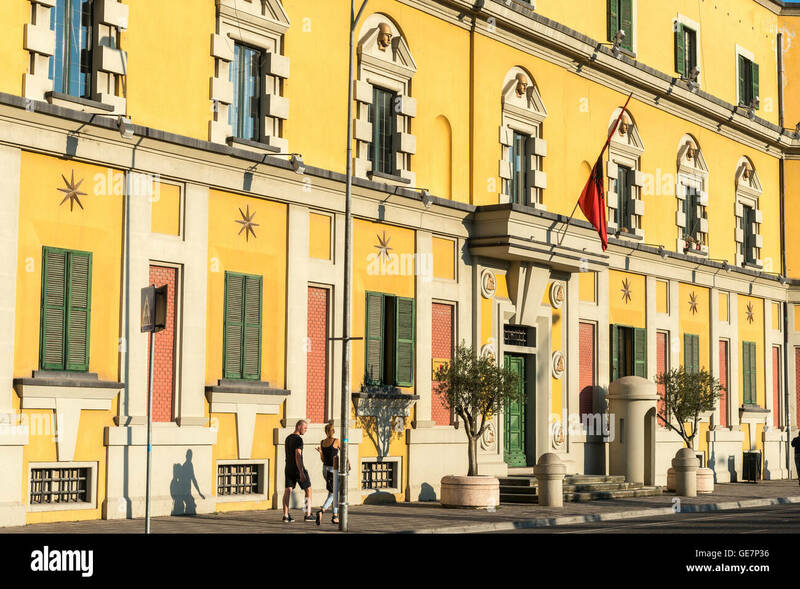 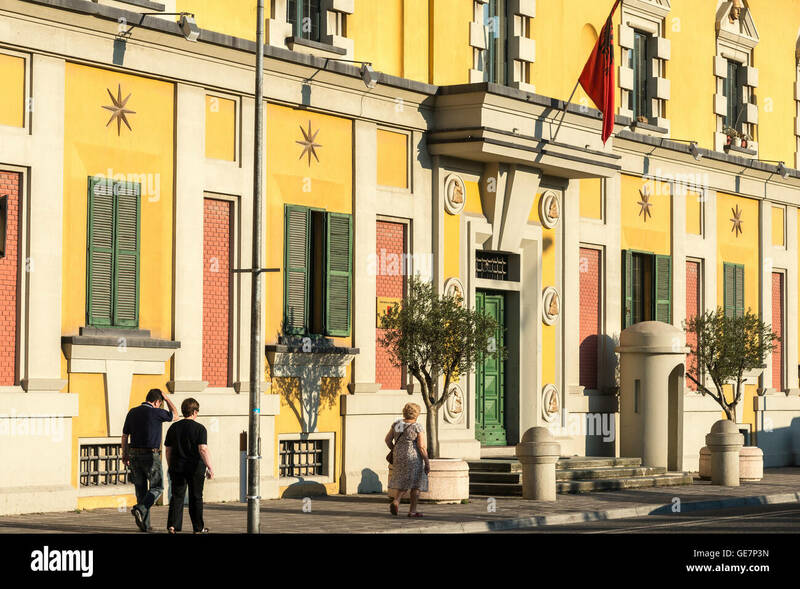 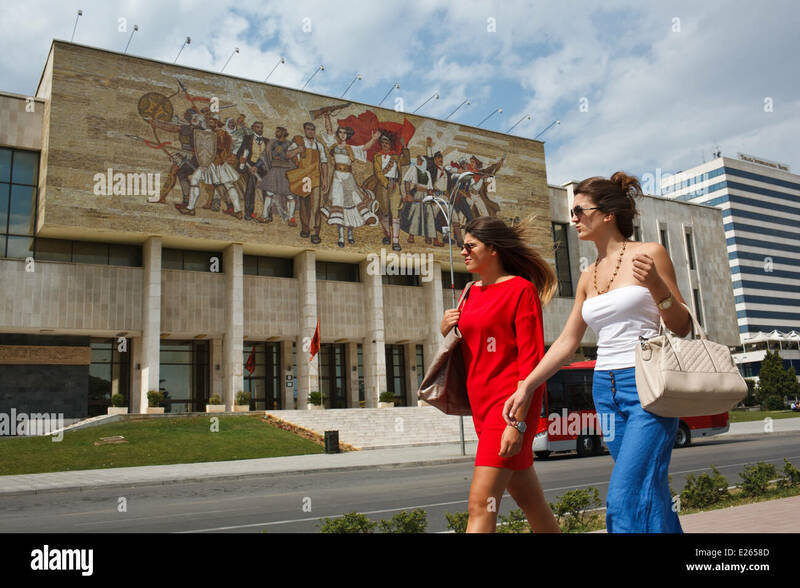 Two young fashionable women walk past National Historical Museum at Skanderbeg Square, Tirana, Albania. 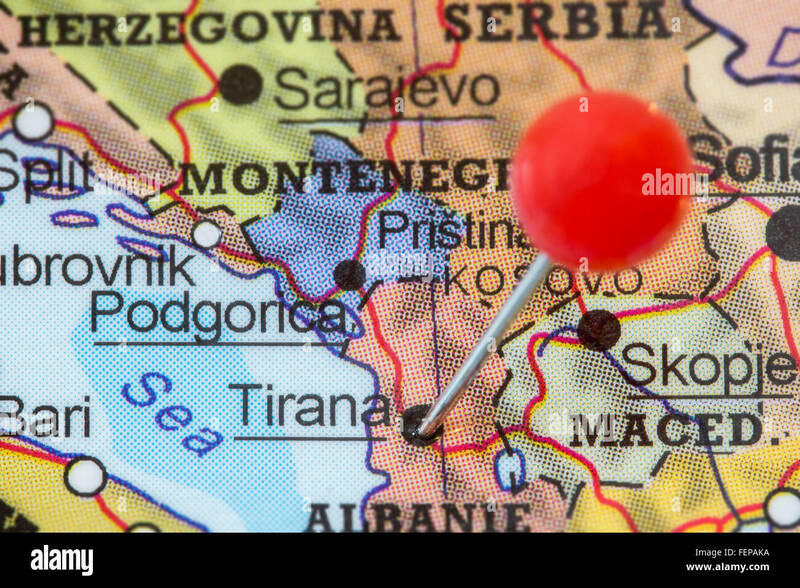 Close-up of a red pushpin in a map of Tirana, Albania. 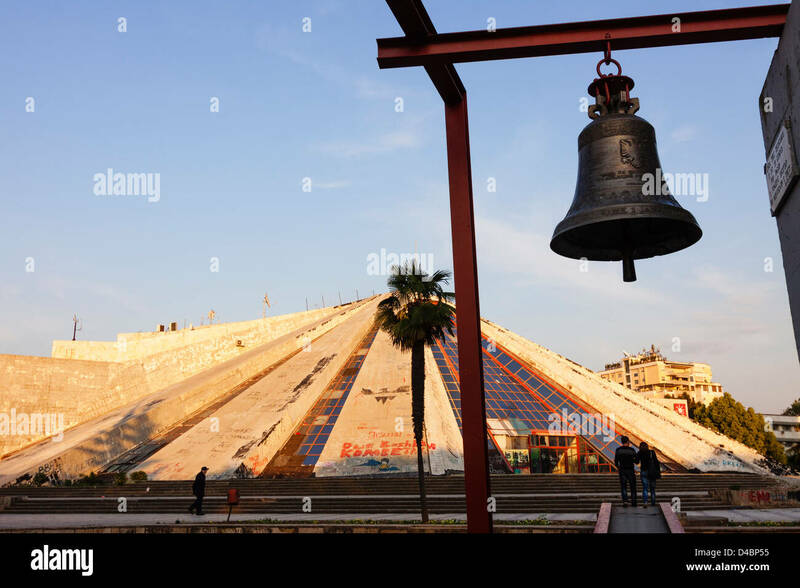 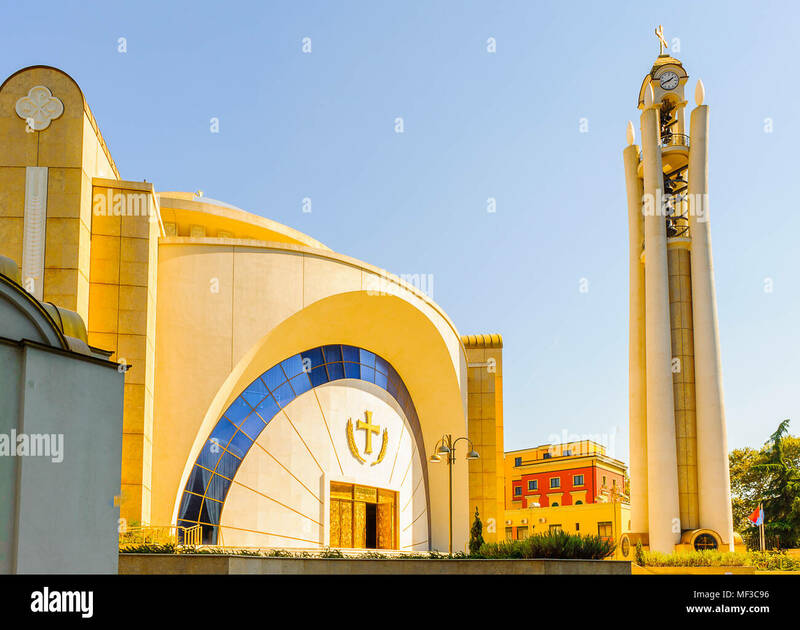 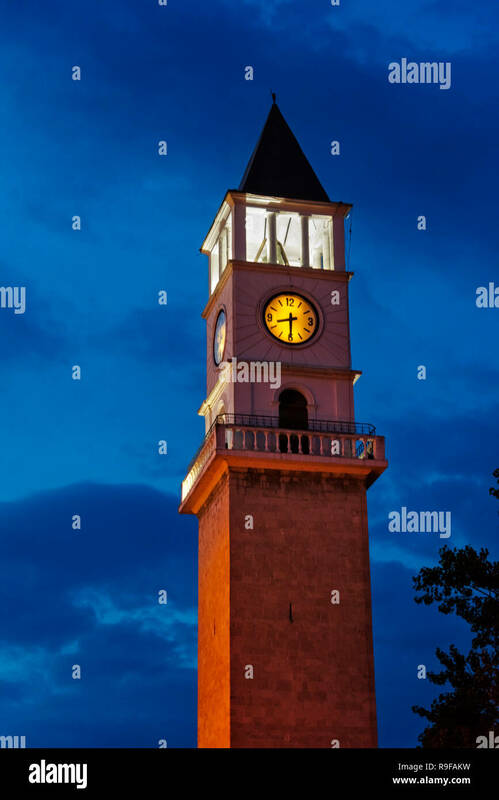 The bell and clock tower of the Resurrection of Christ Orthodox Cathedral of Tirana. 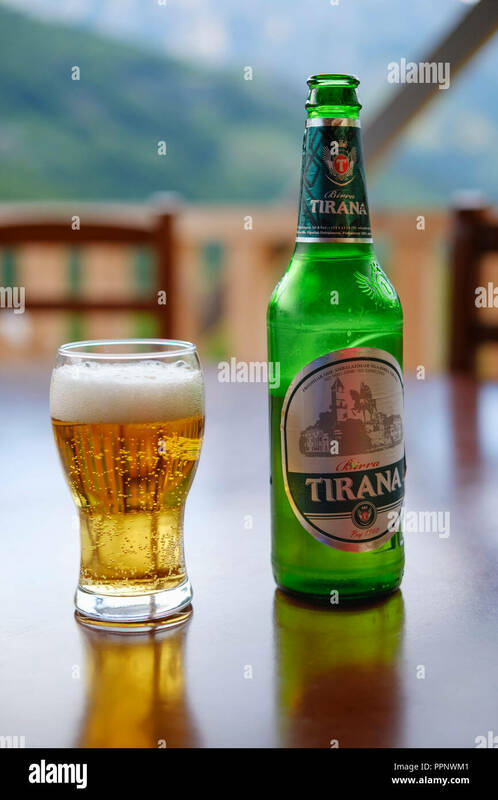 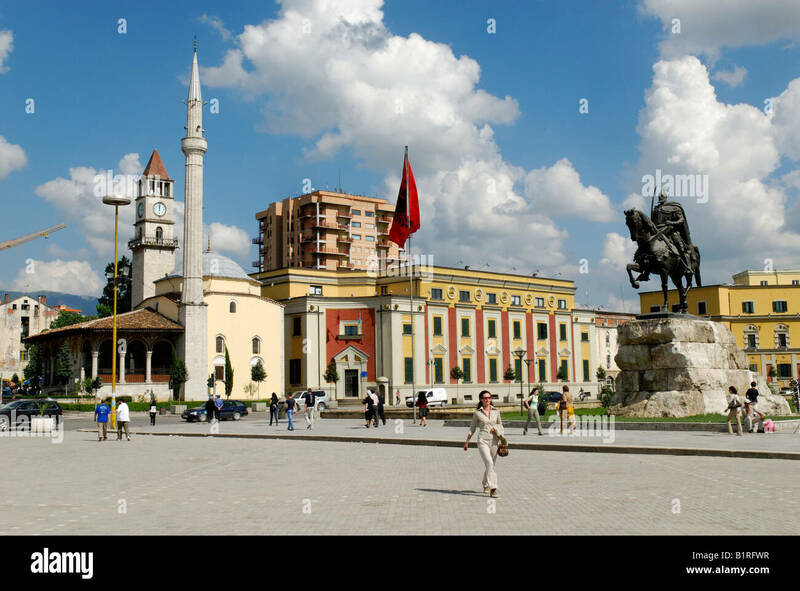 Triana, Albania. 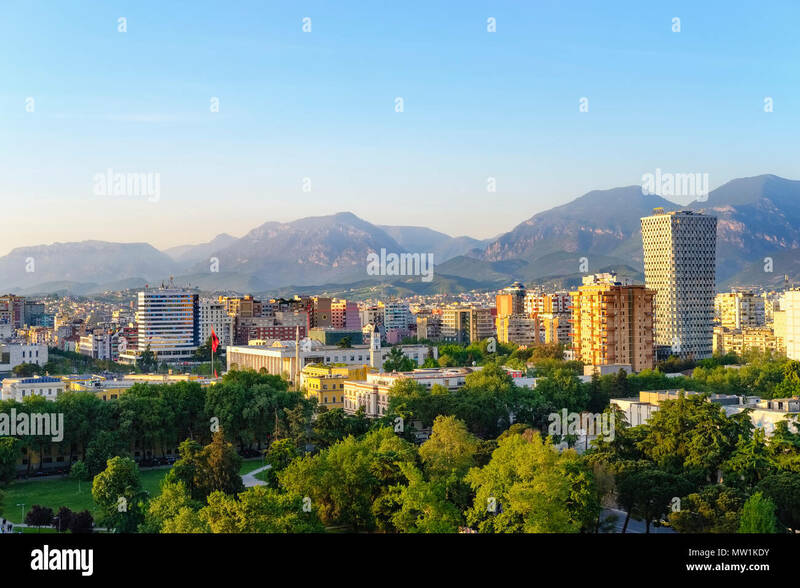 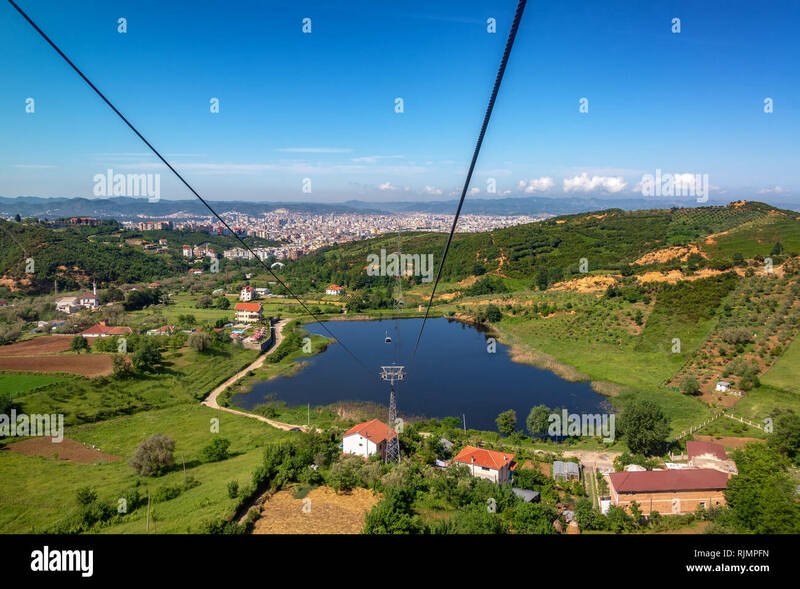 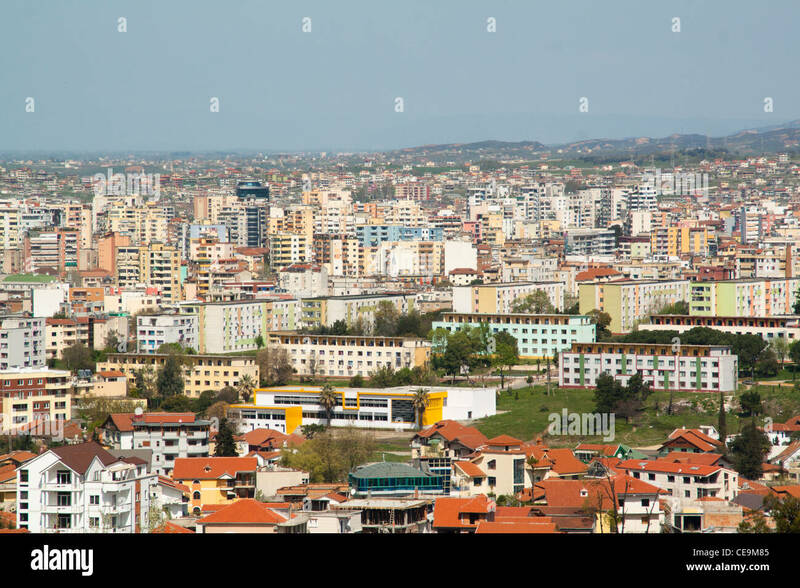 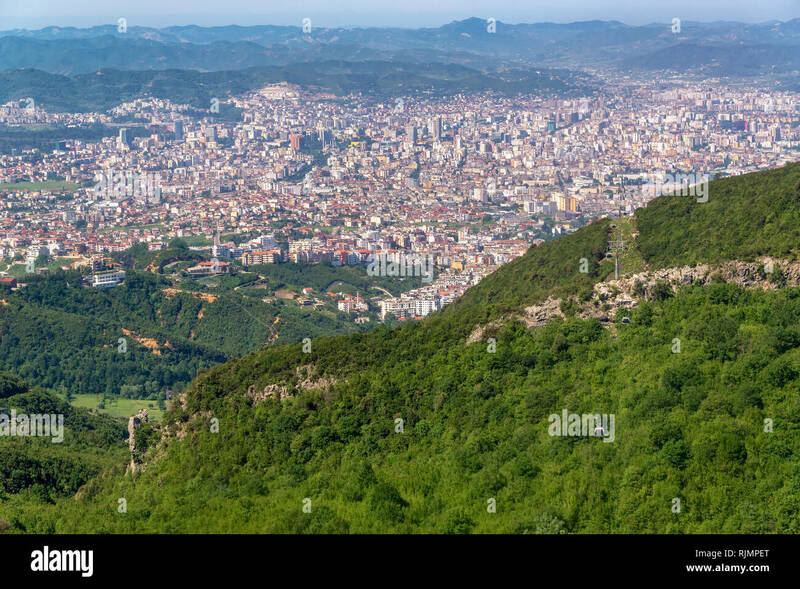 View across the city of Tirana, the capital of Albania. 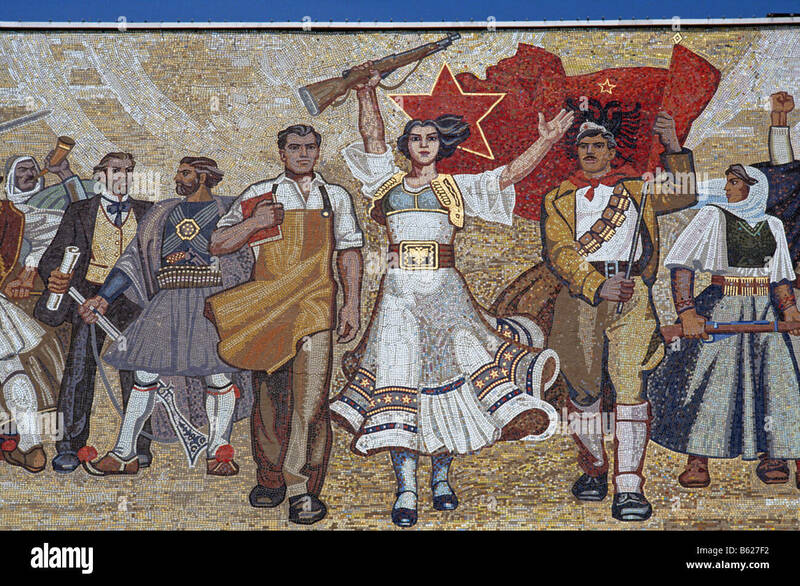 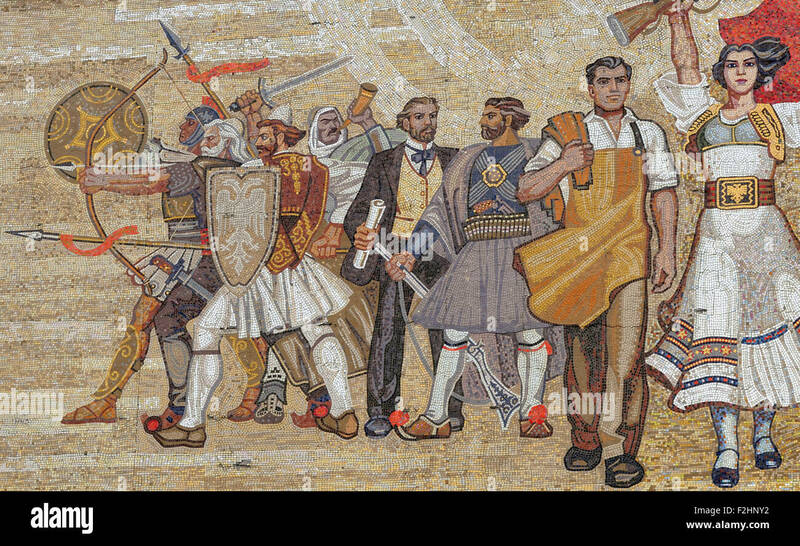 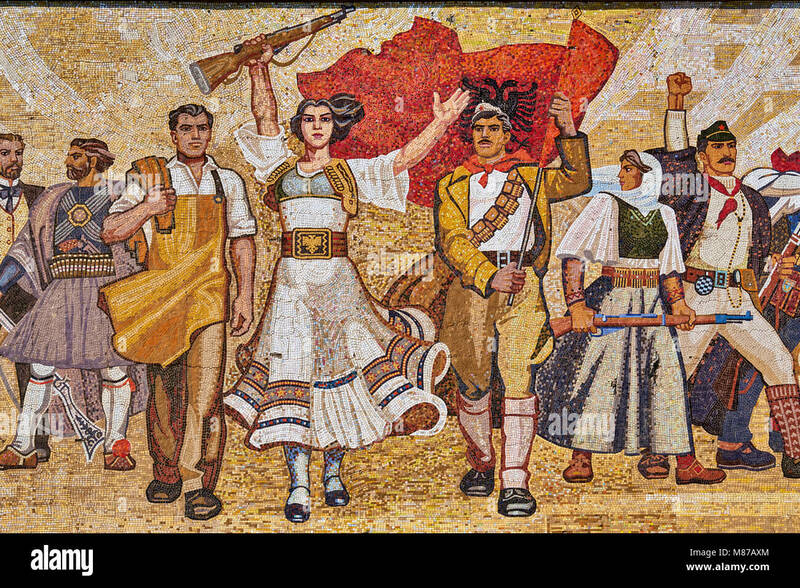 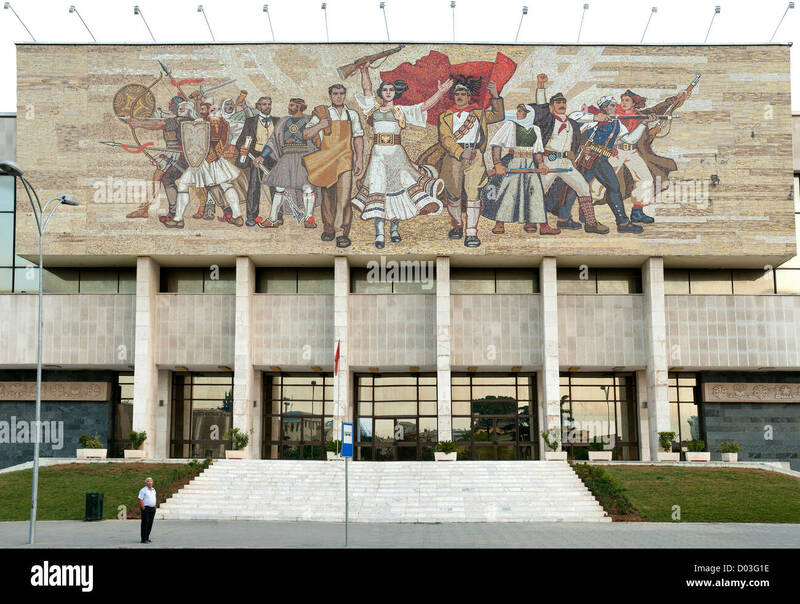 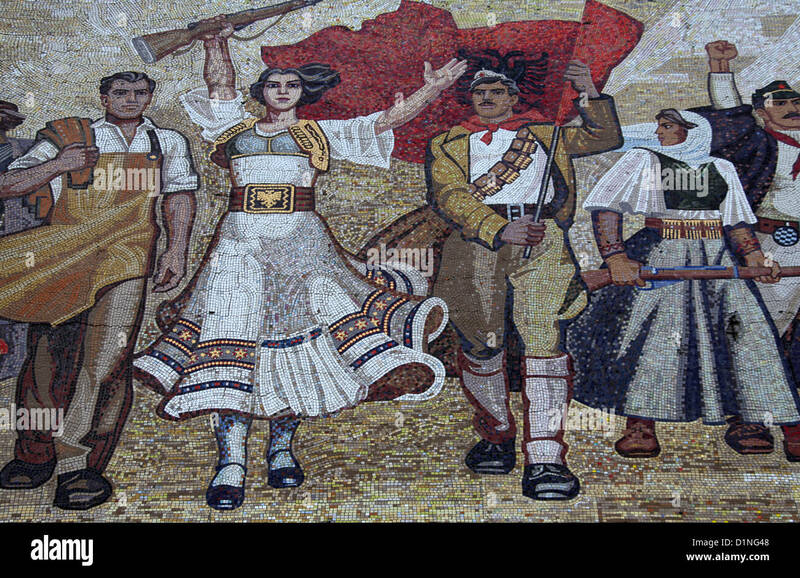 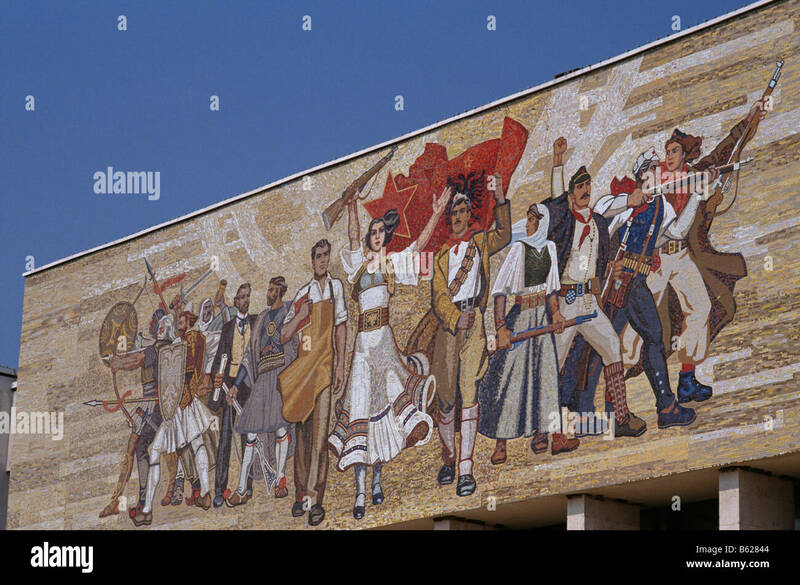 The Albanians mosaic on the front of the Albanian National Historical Museum, Muzeu Historik Kombëtar, in Tirana. 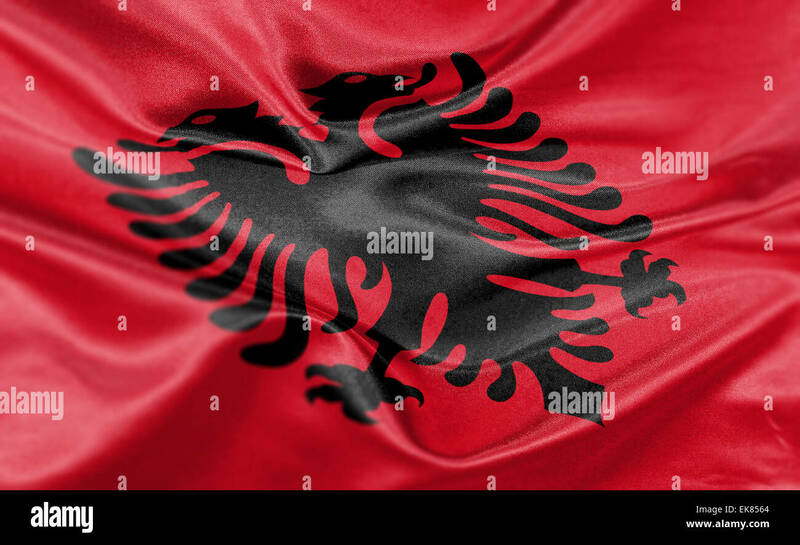 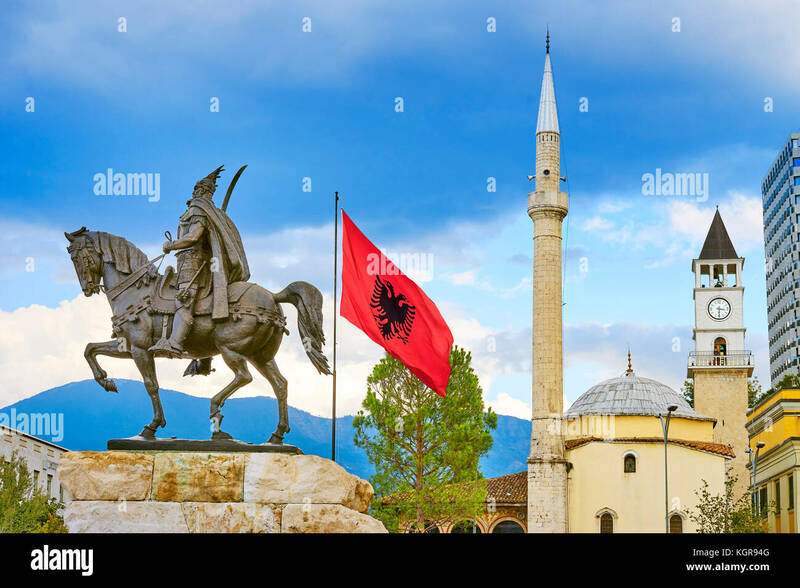 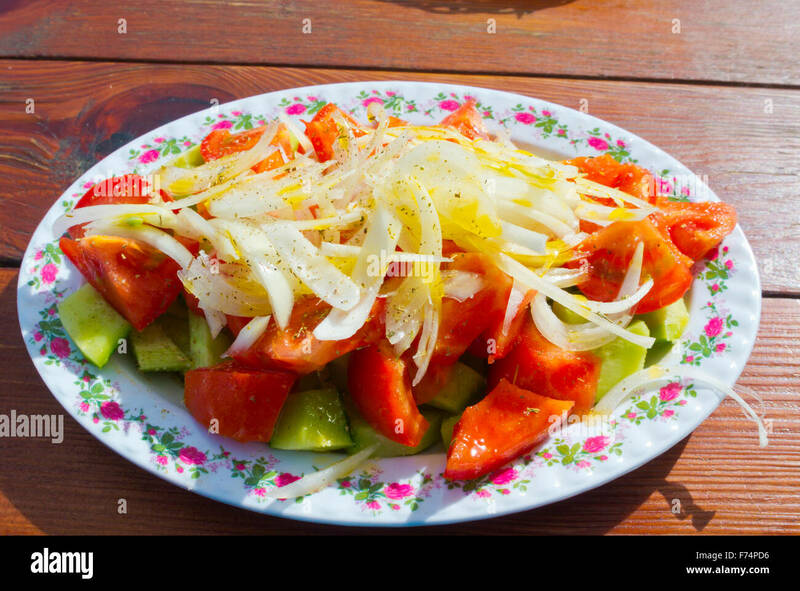 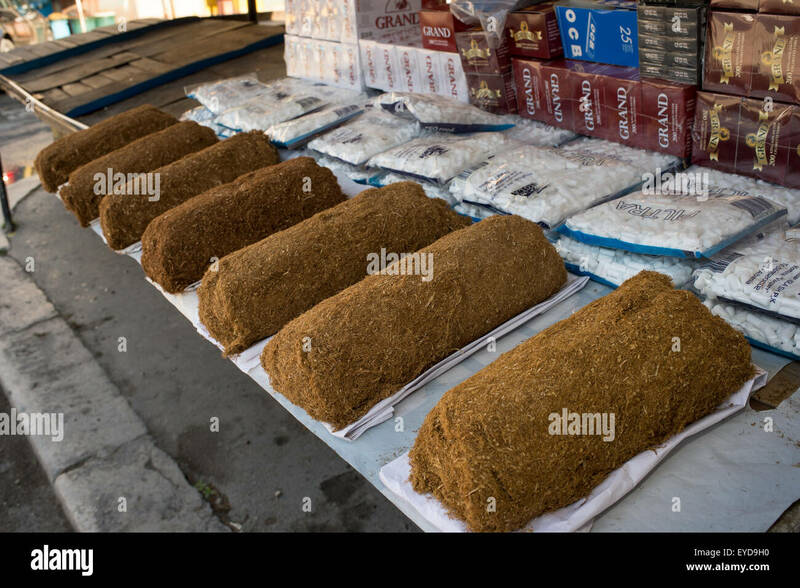 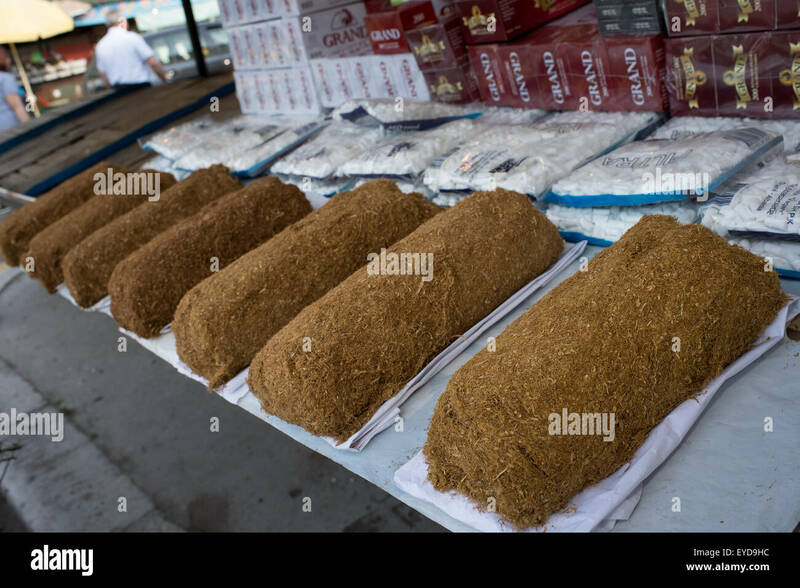 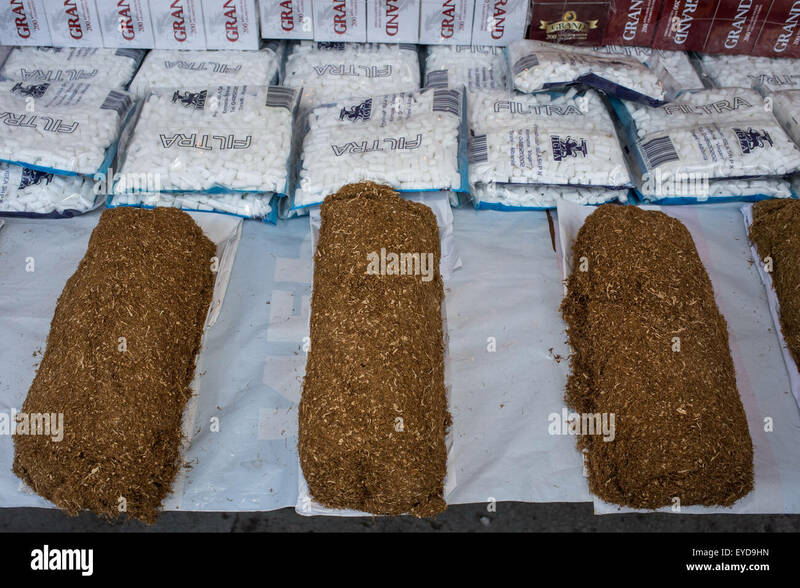 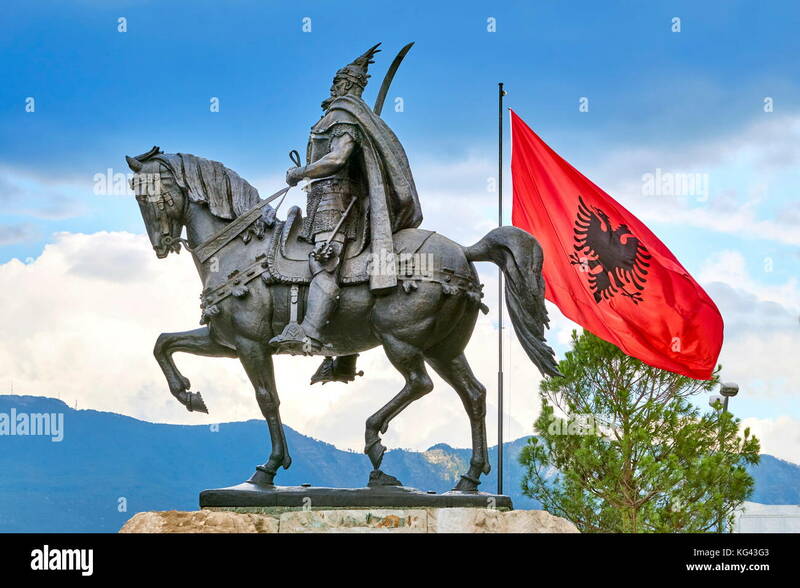 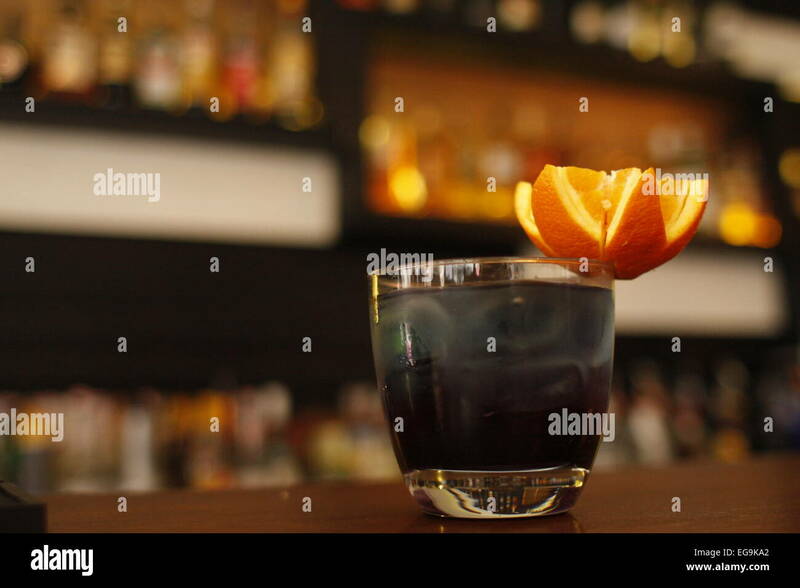 High resolution render of Albania's national flag. 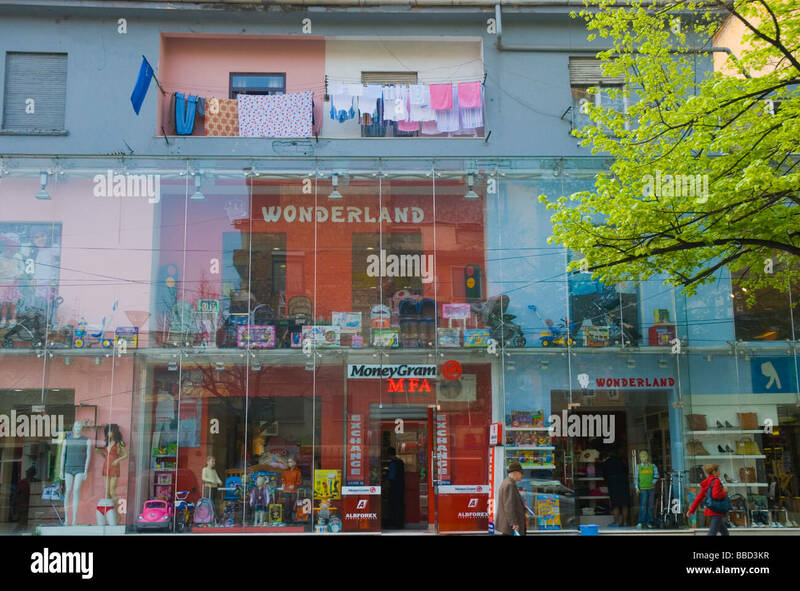 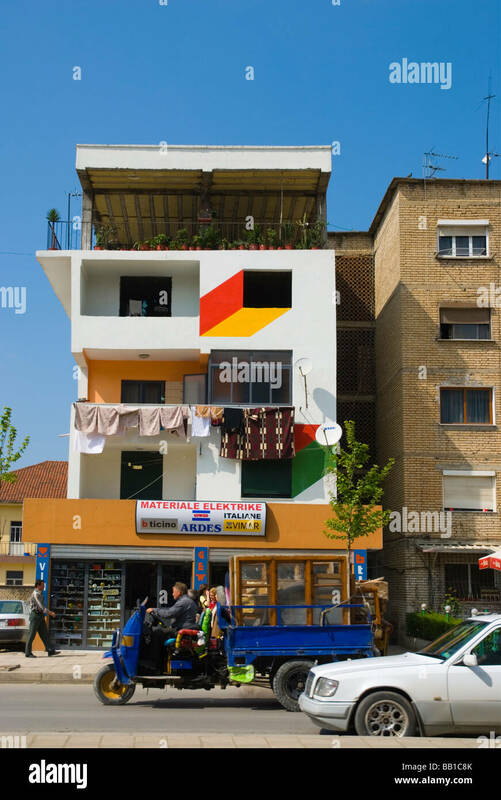 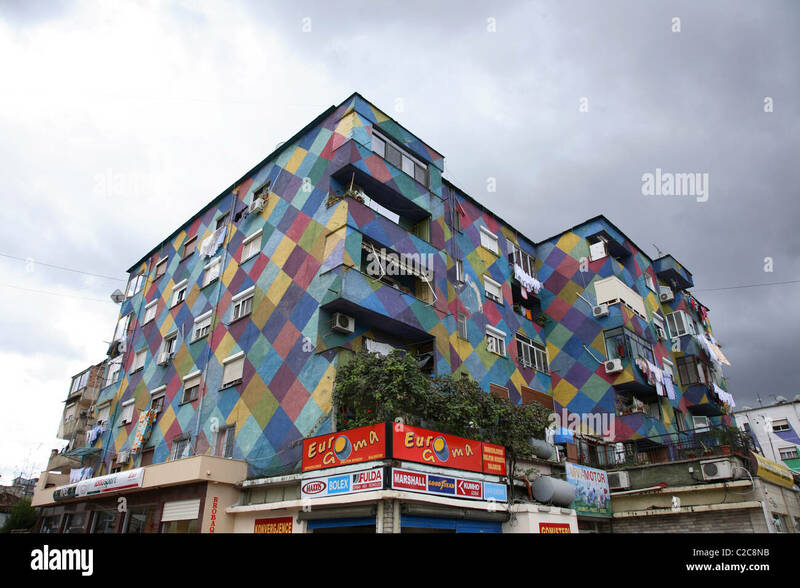 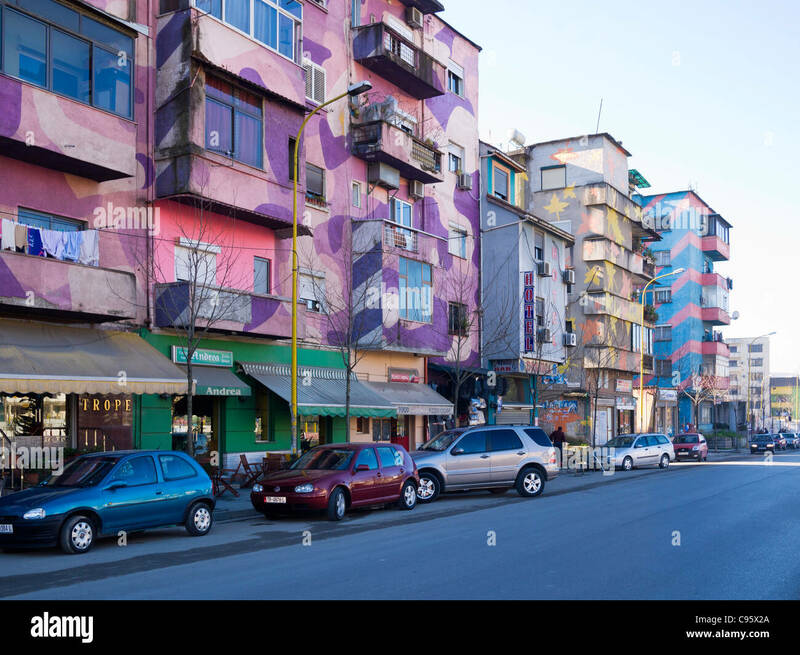 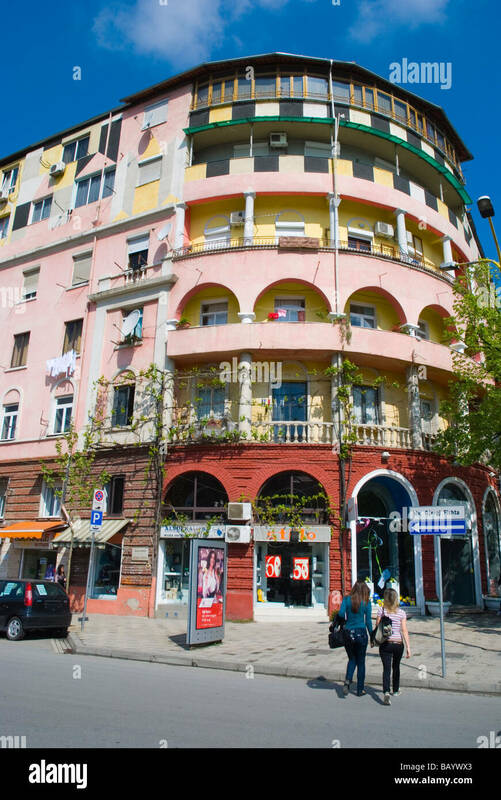 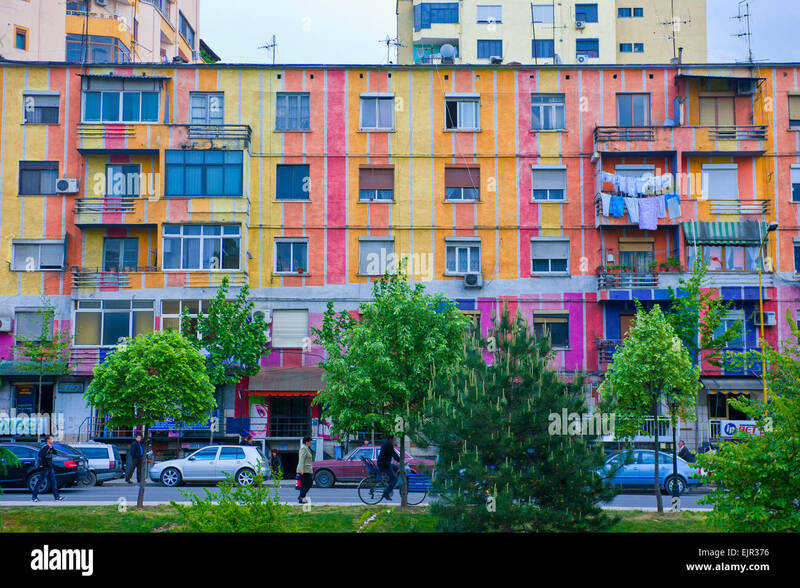 Brightly painted buildings in Tirana, Albania. 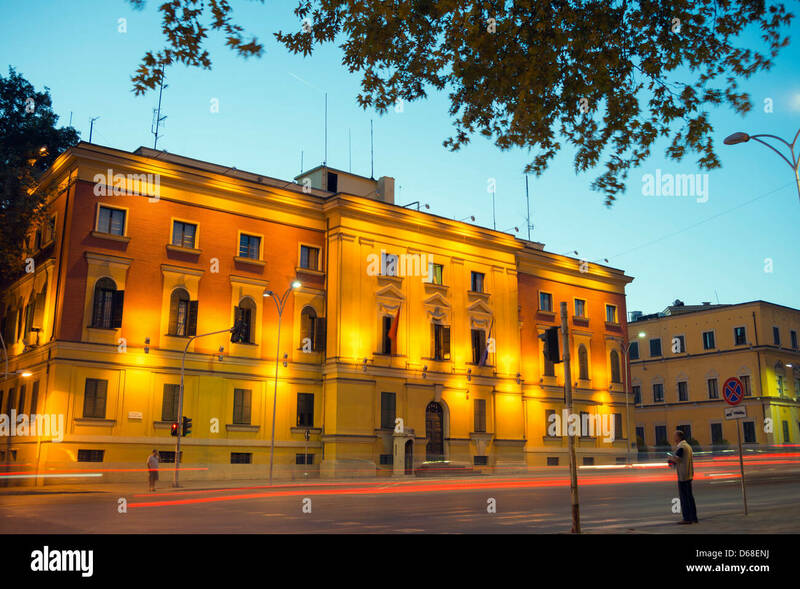 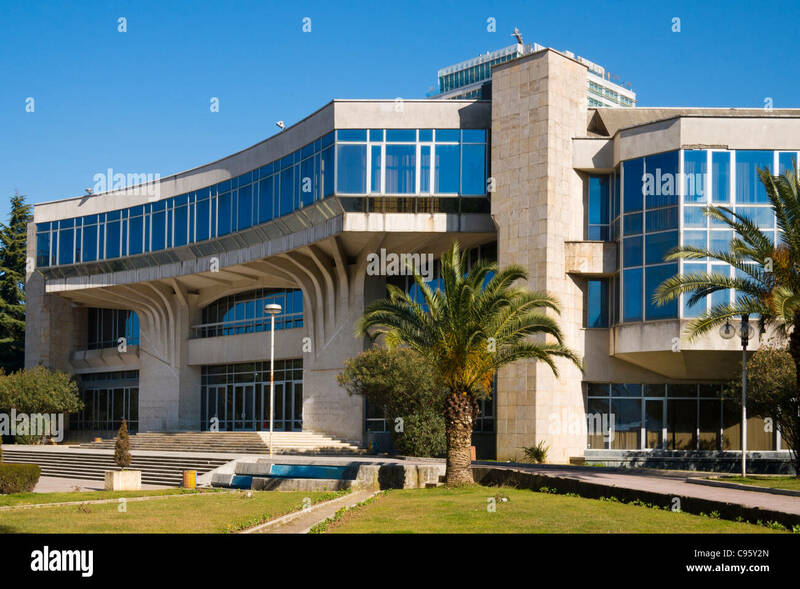 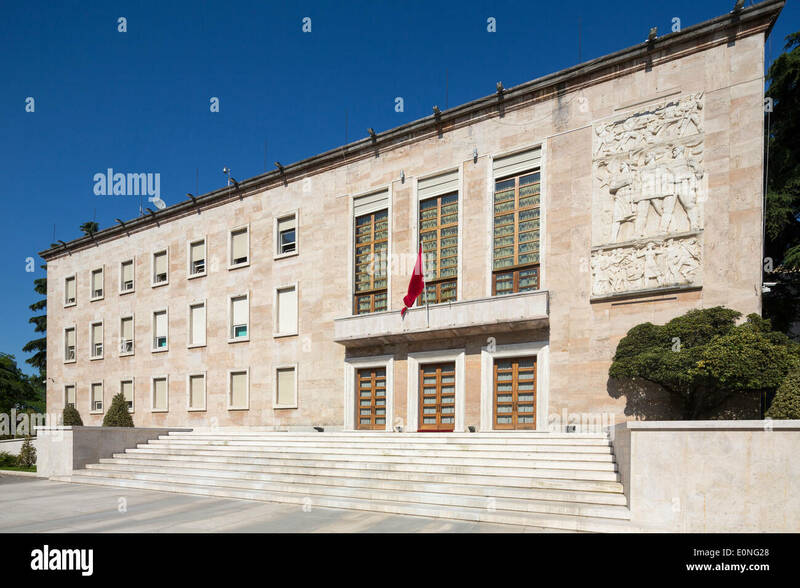 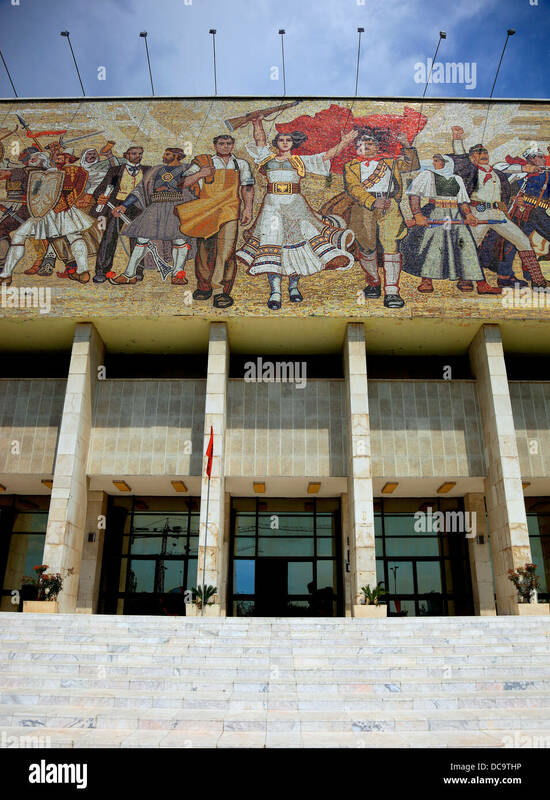 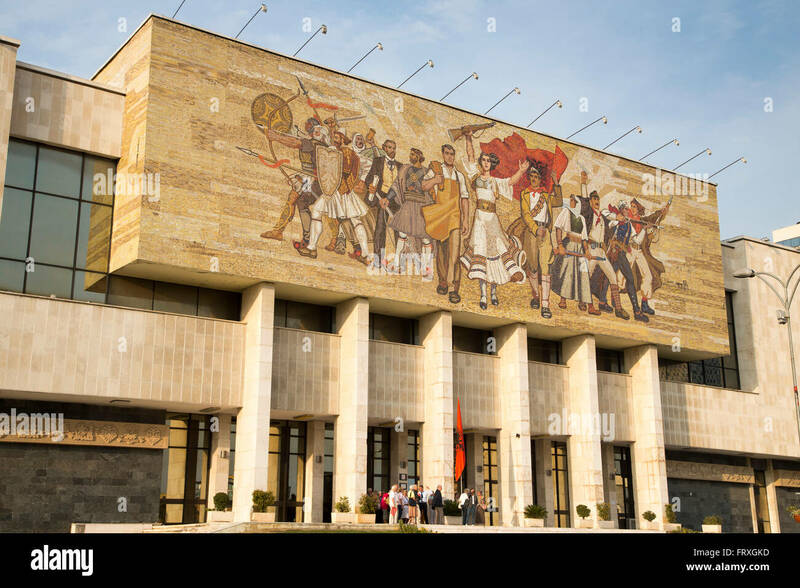 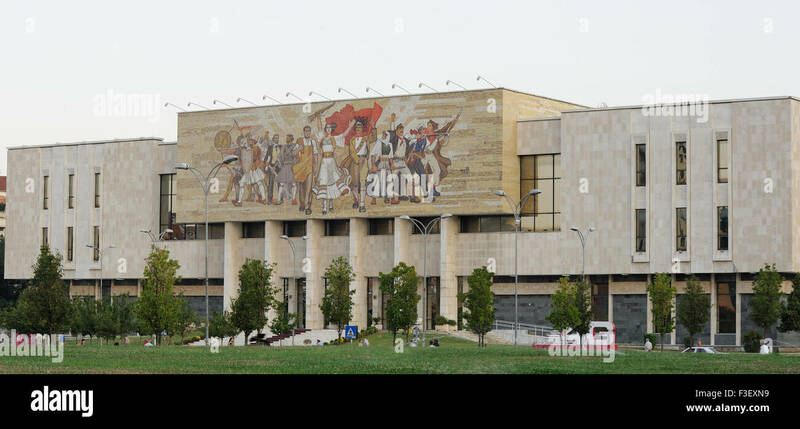 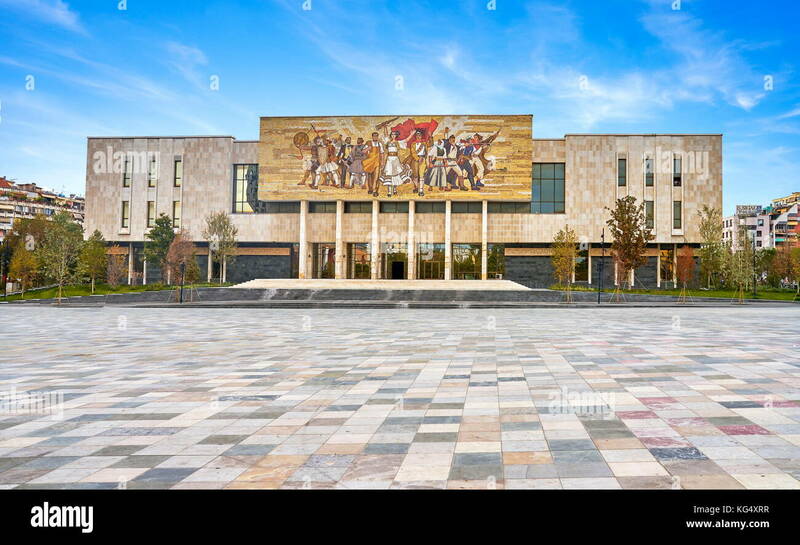 The National Historical Museum in Tirana, the capital of Albania. 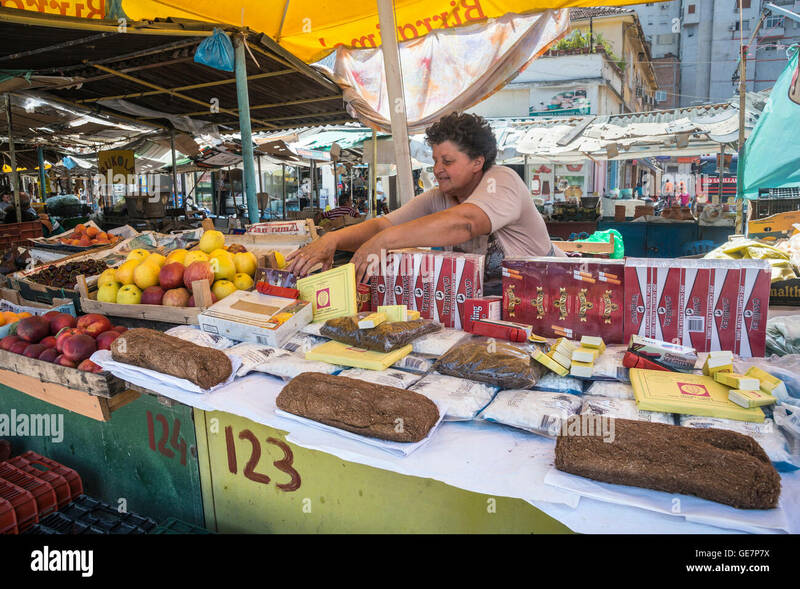 Albanian woman at Tirana cafe. 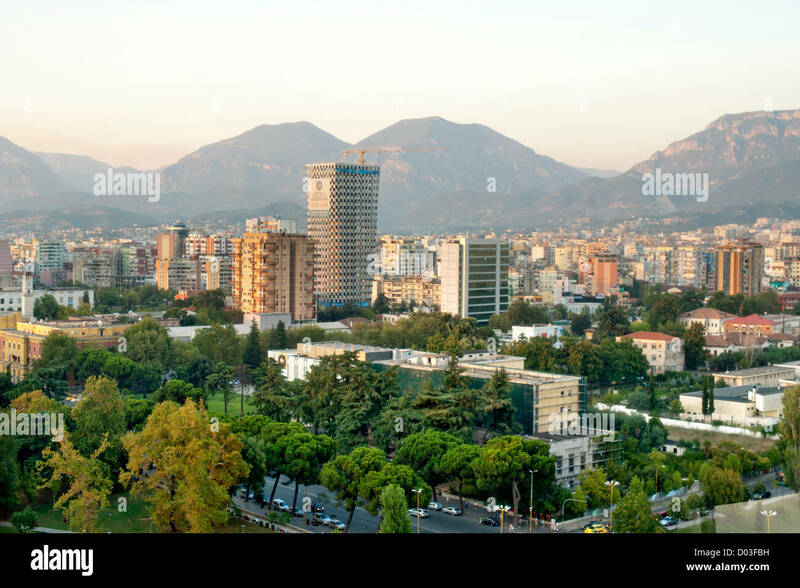 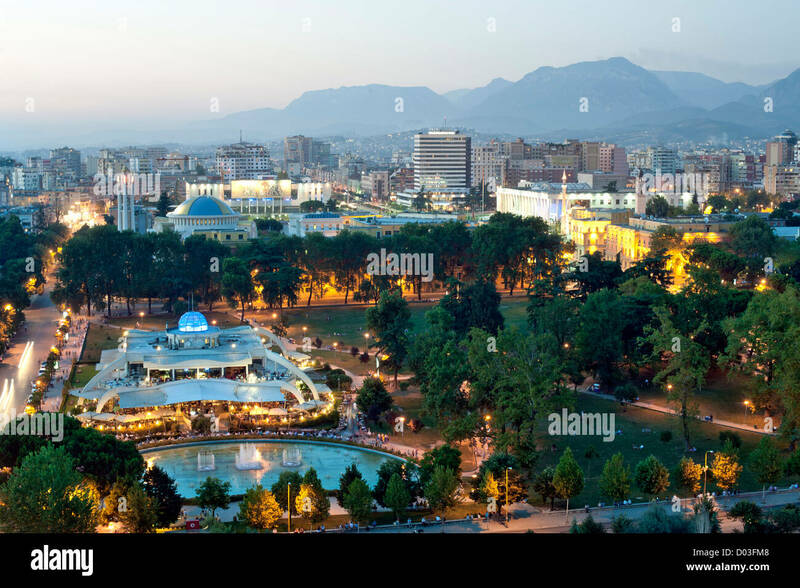 Dusk view of Tirana, the capital of Albania. 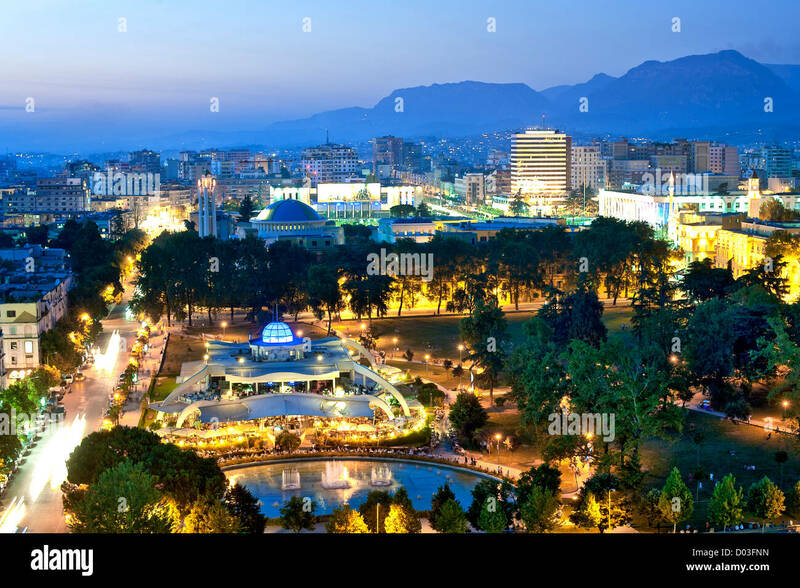 In the foreground is Rinia Park. 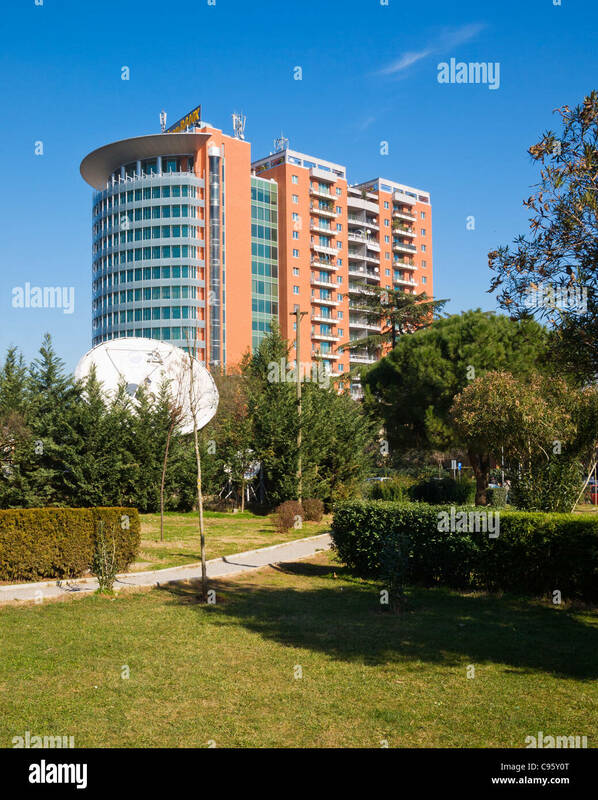 Tirana, Albania. 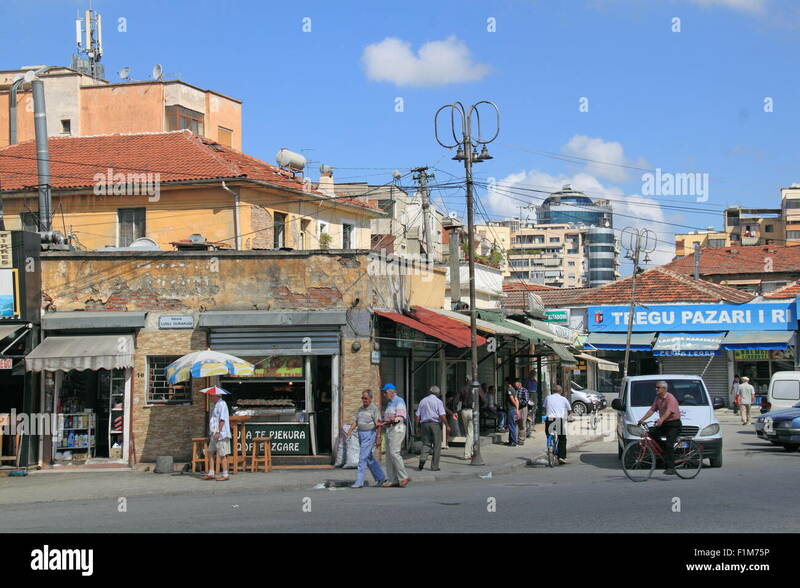 Rruga e Durresit, or Durrës Street. 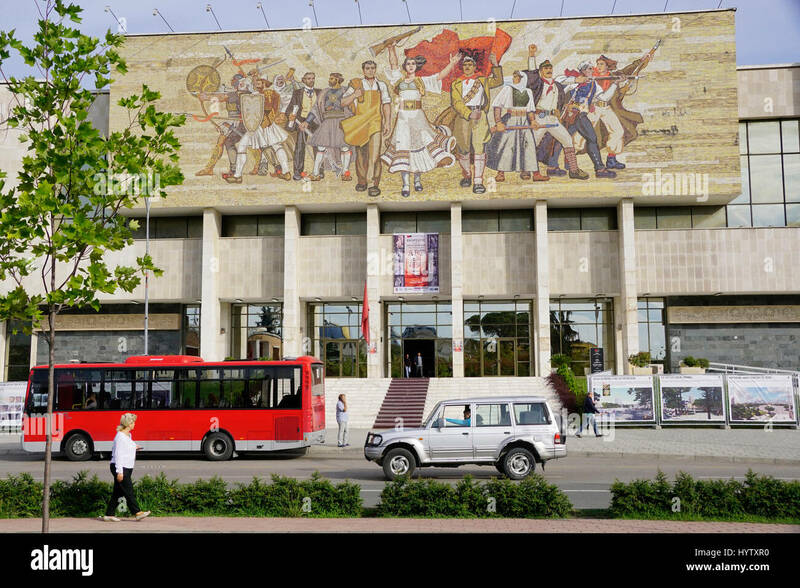 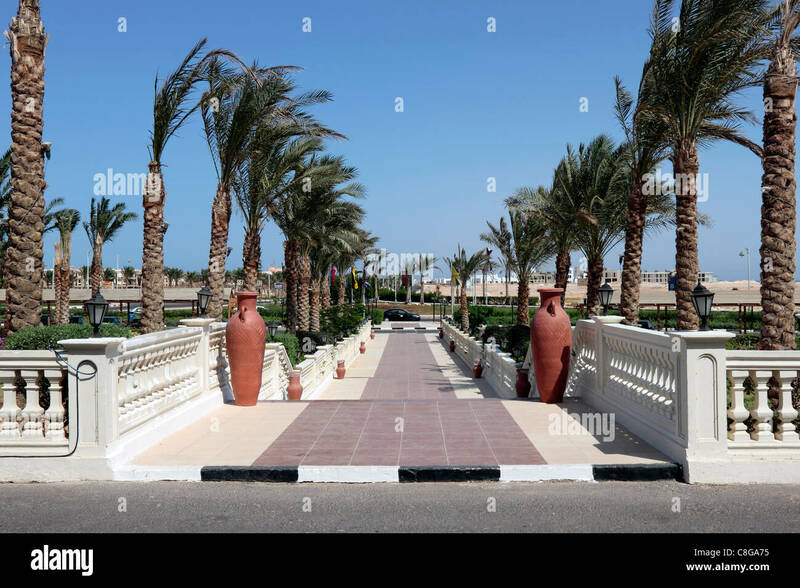 One of the capital's main thoroughfares. 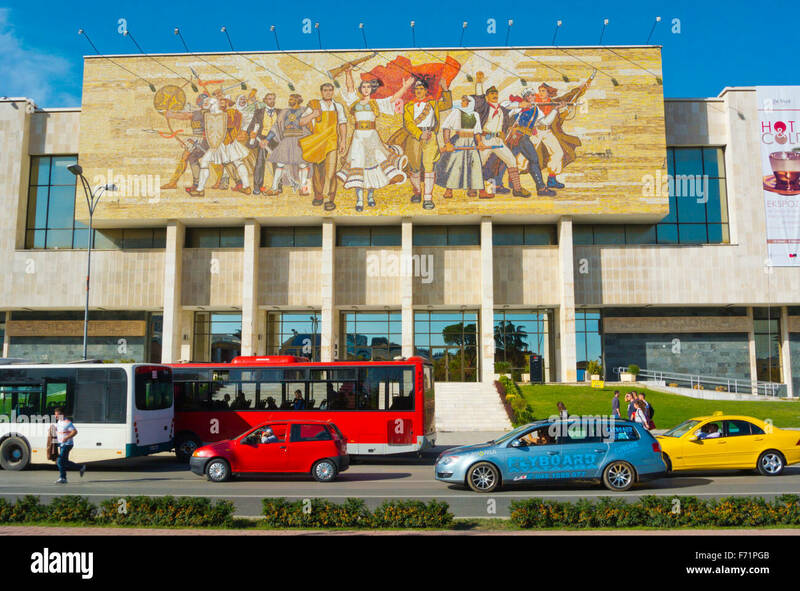 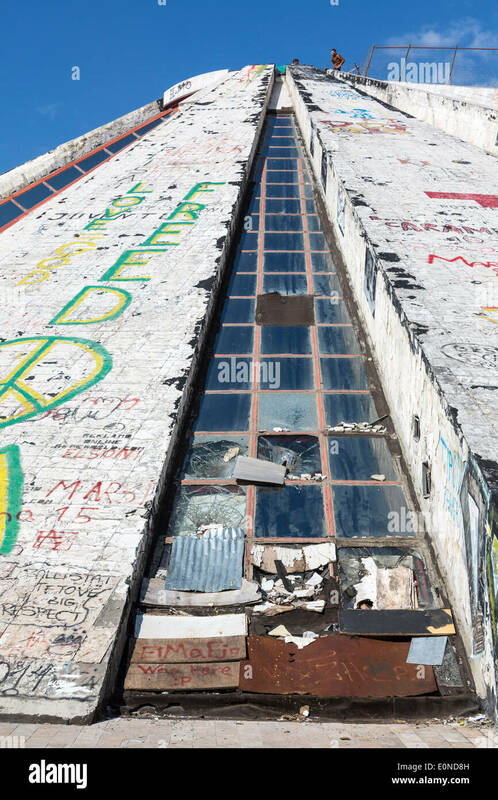 National History Museum in Tirana, Albania. 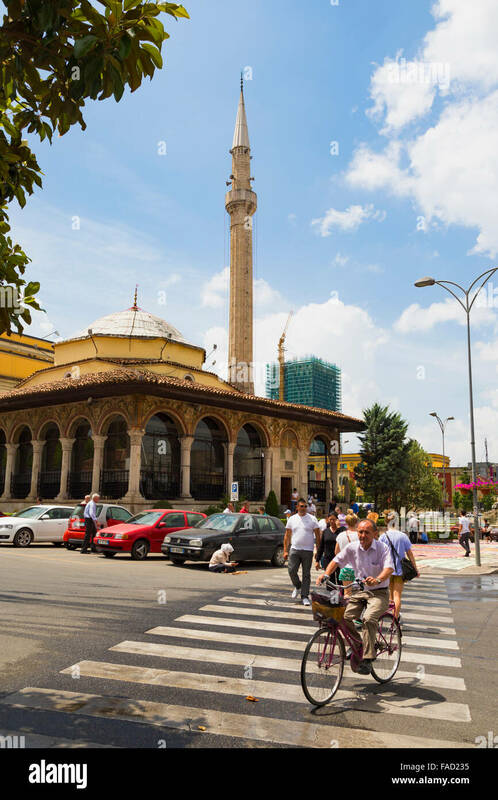 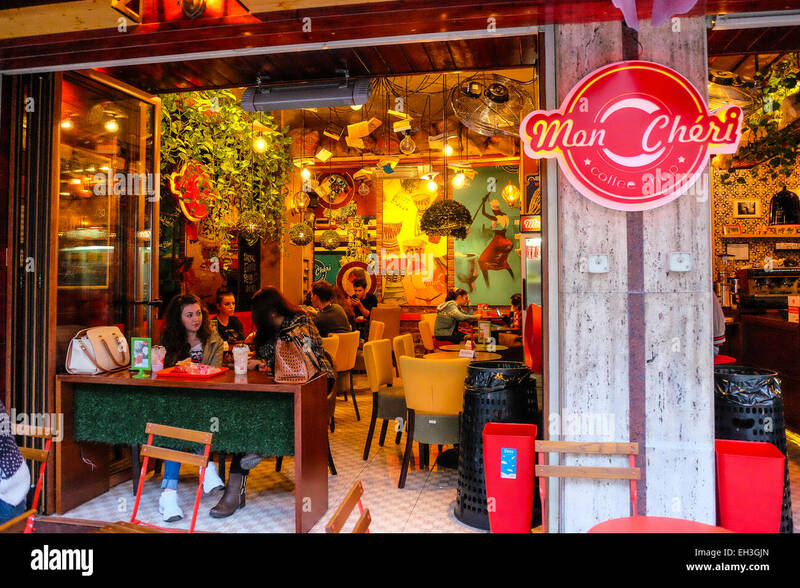 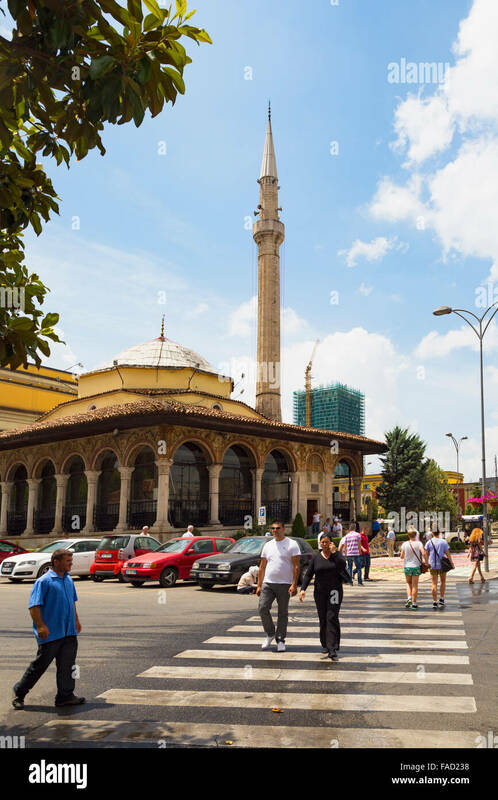 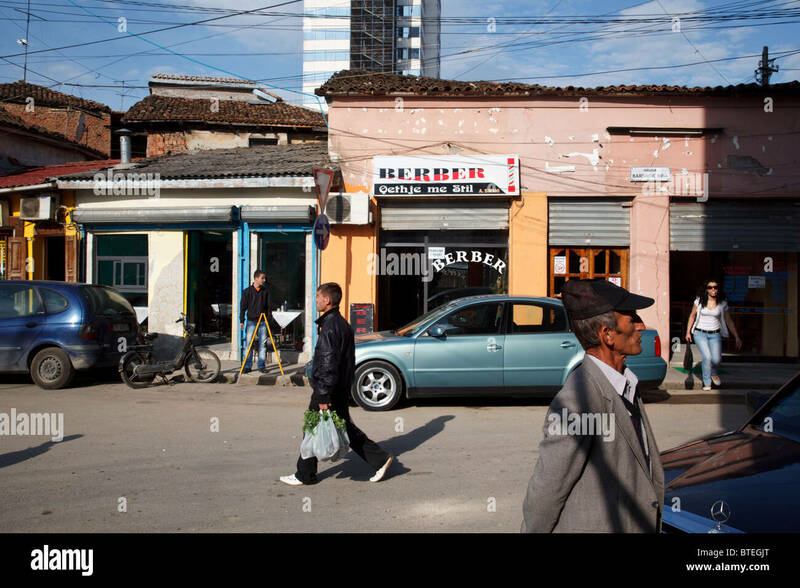 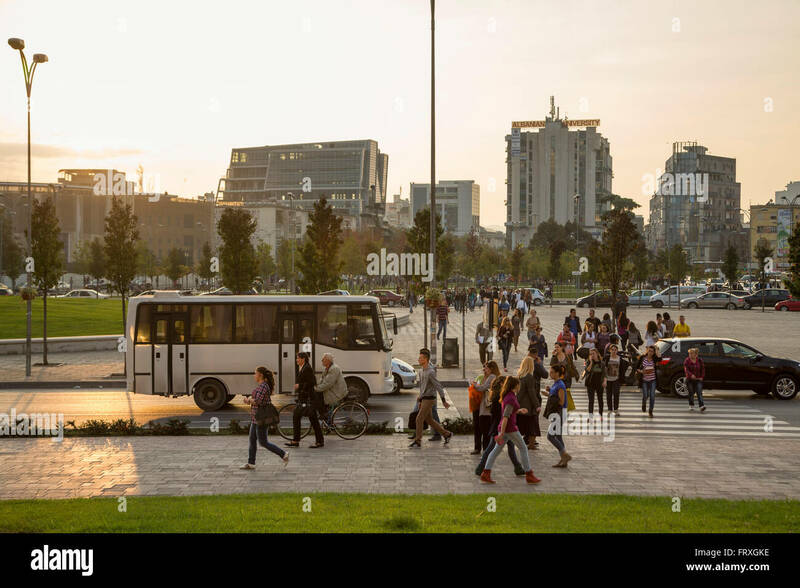 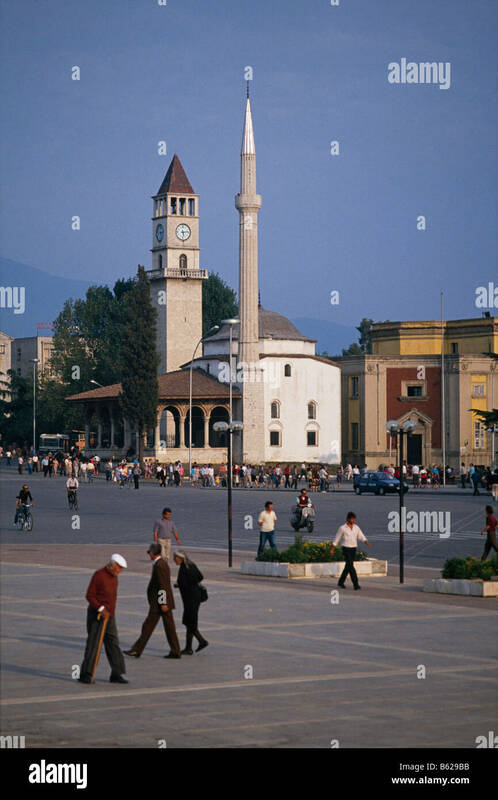 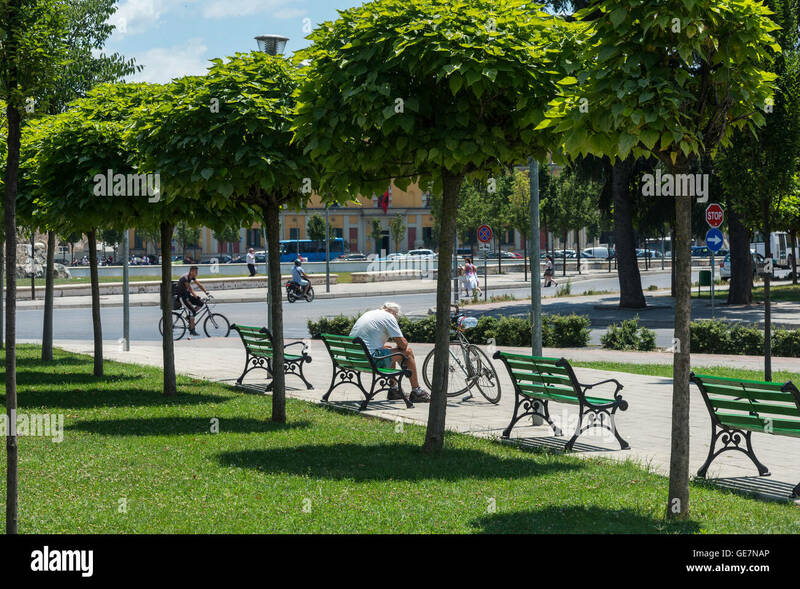 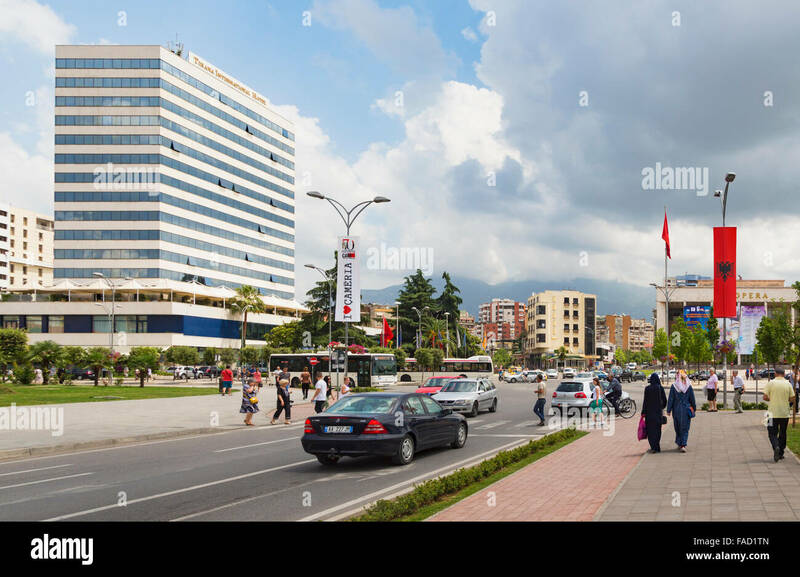 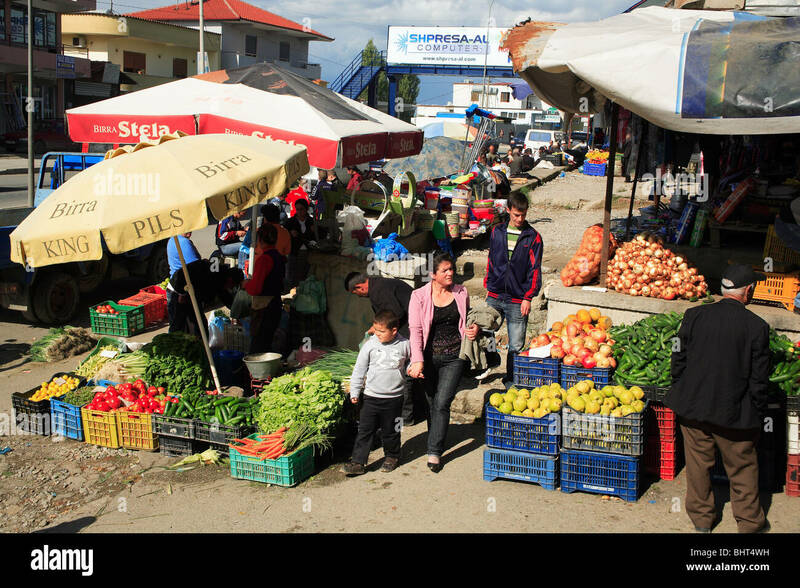 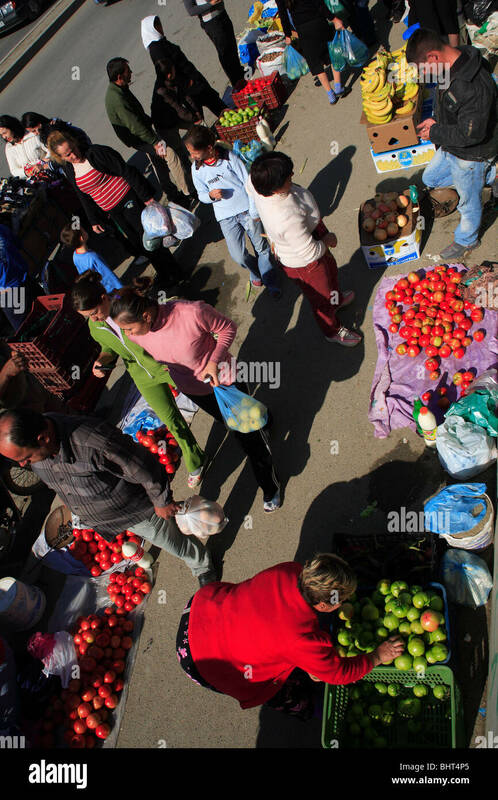 A street scene in Tirana, the capital of Albania. 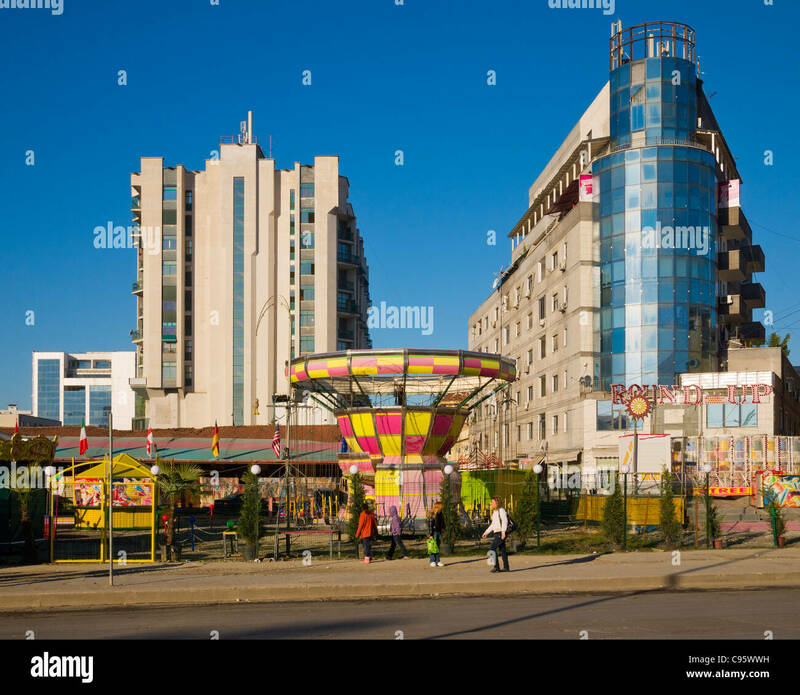 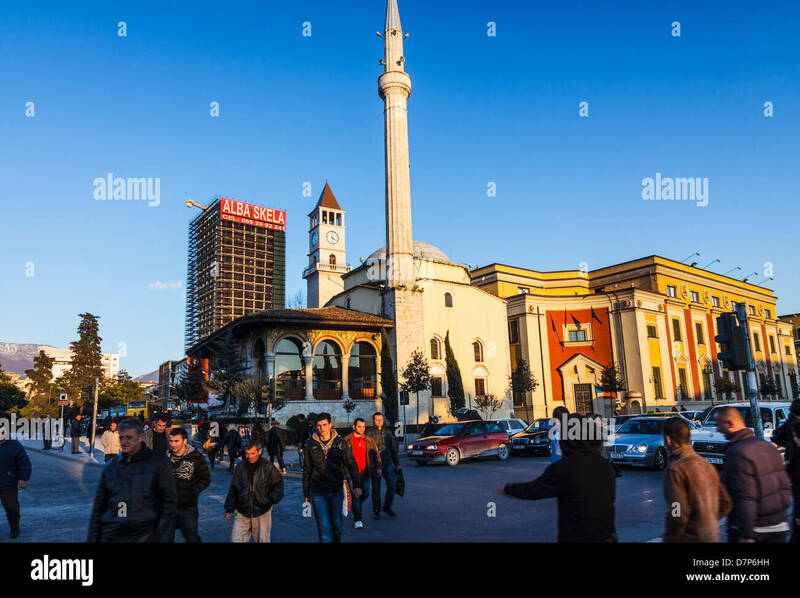 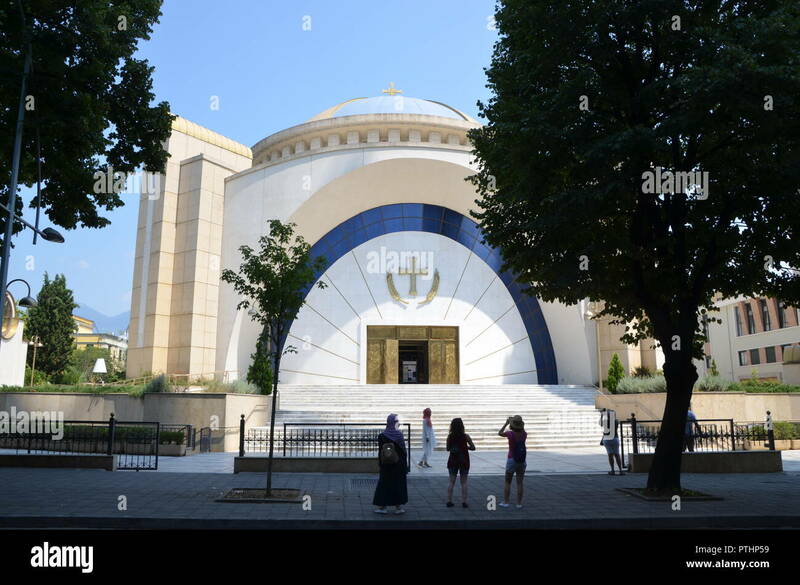 Tirana, Albania. 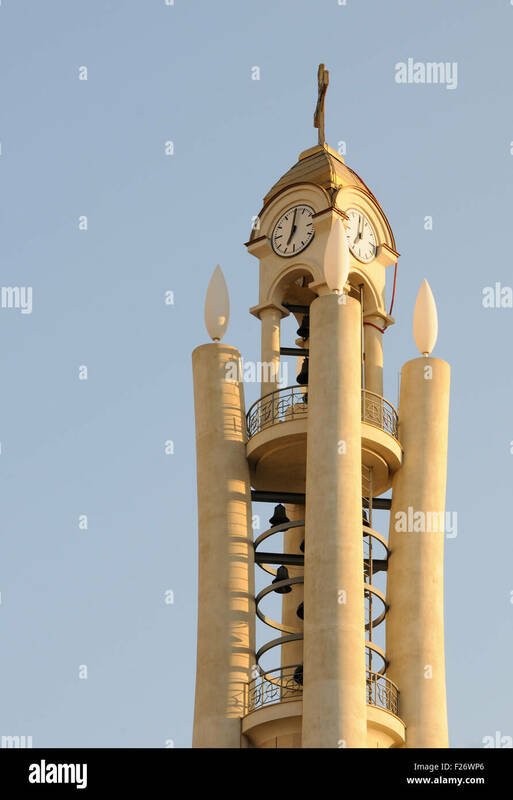 The 85 meter high TID Tower. 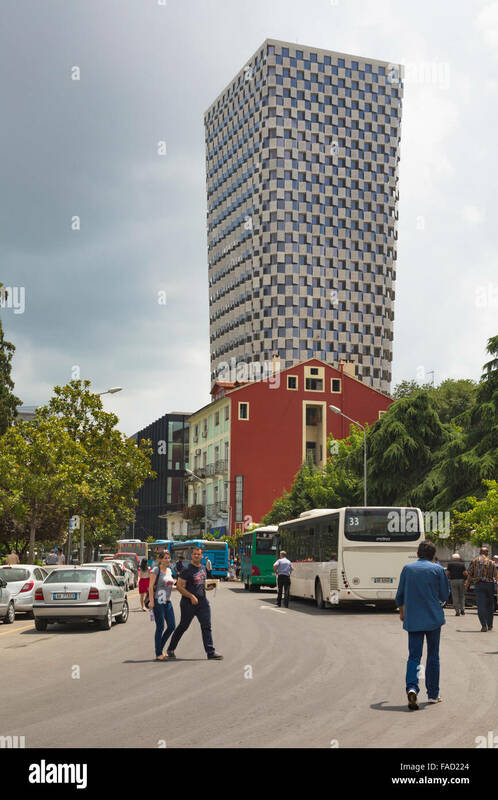 The tower was designed by Belgian architectural firm 51N4E. 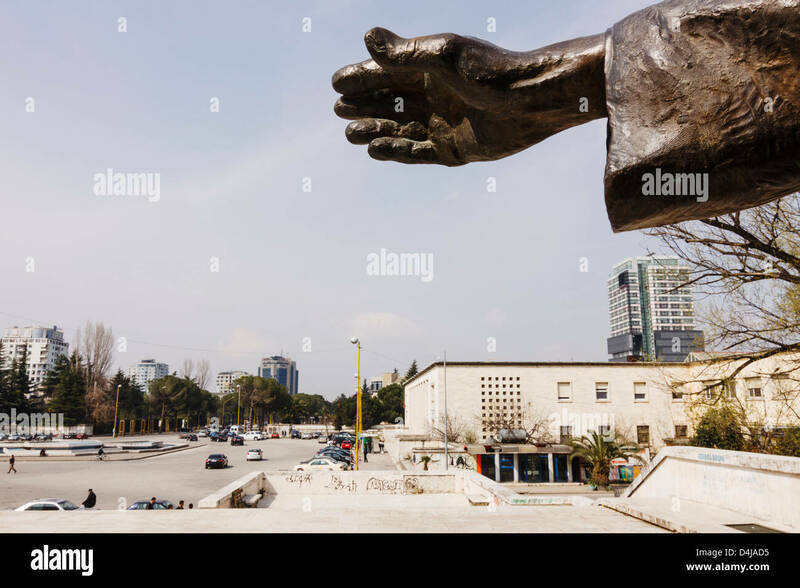 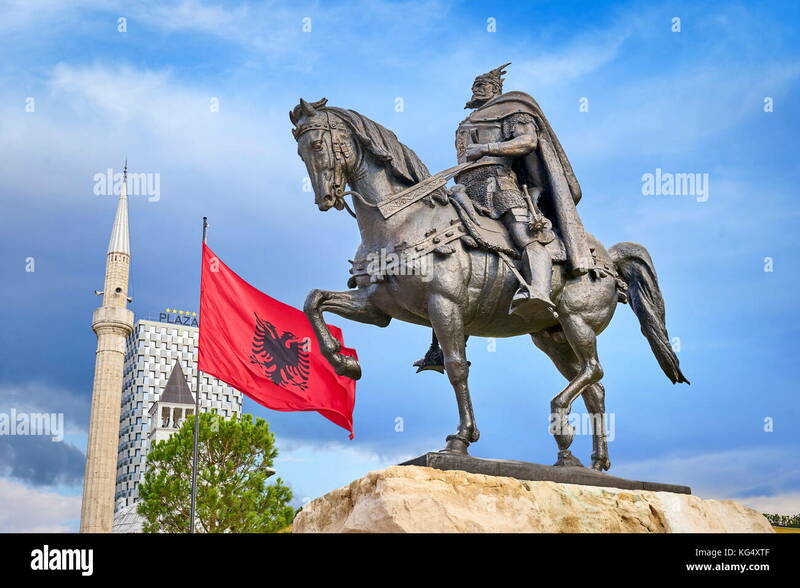 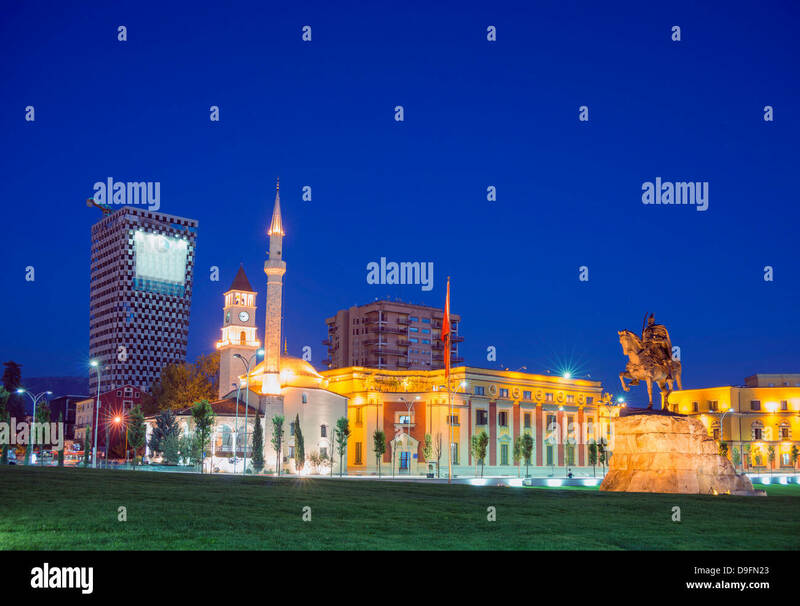 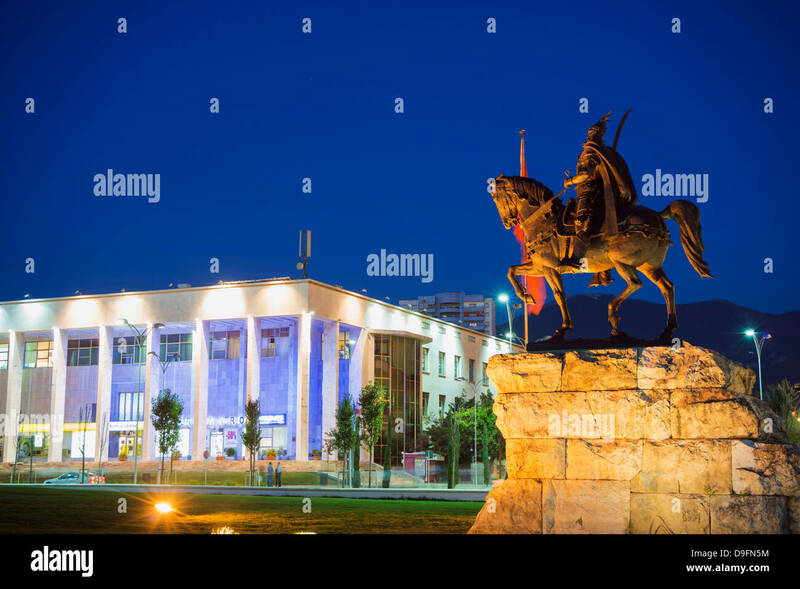 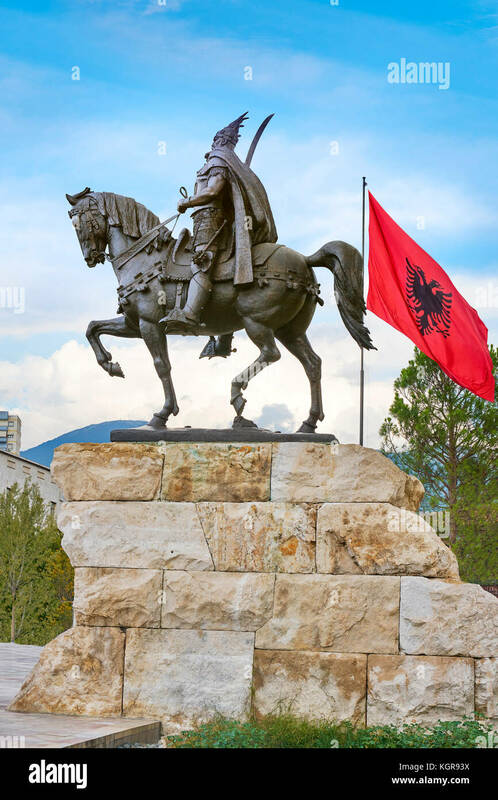 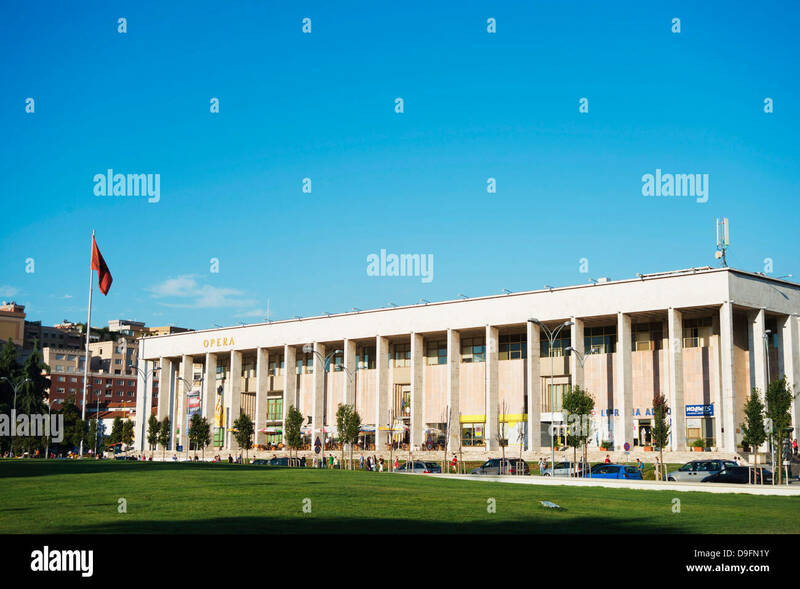 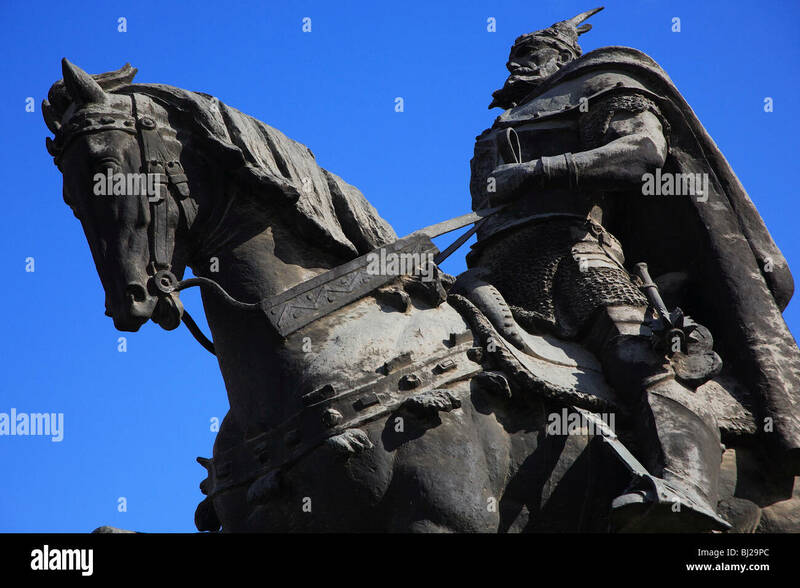 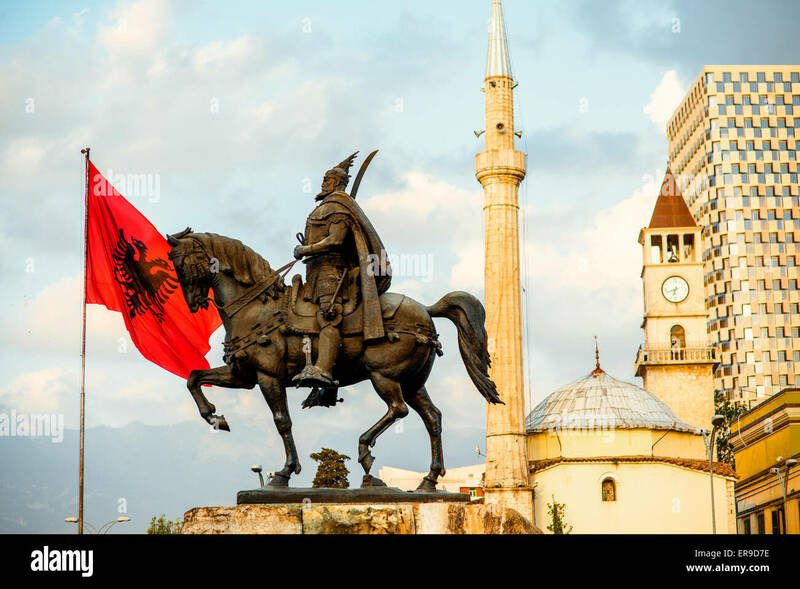 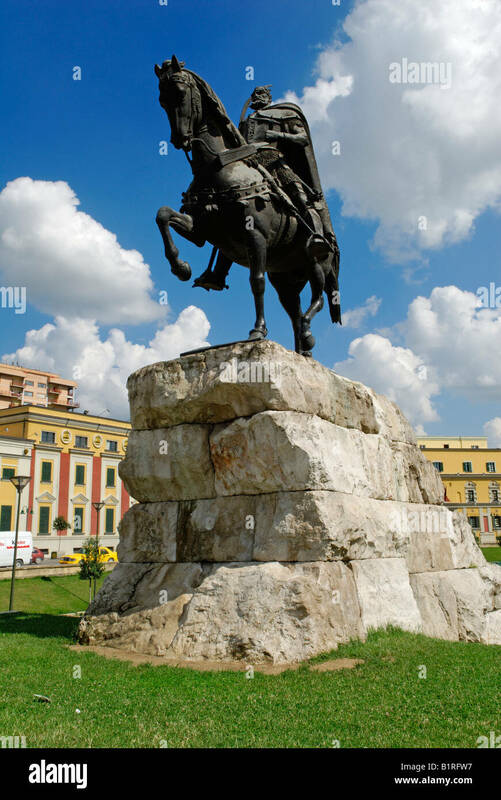 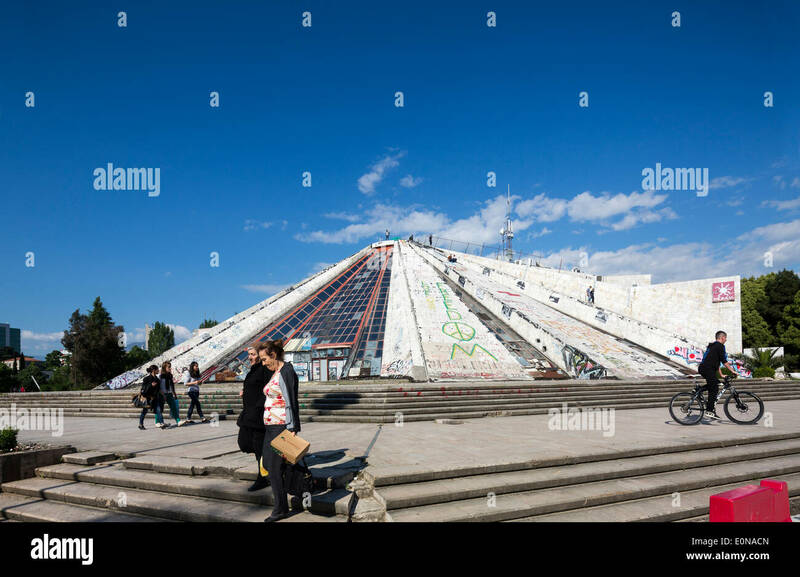 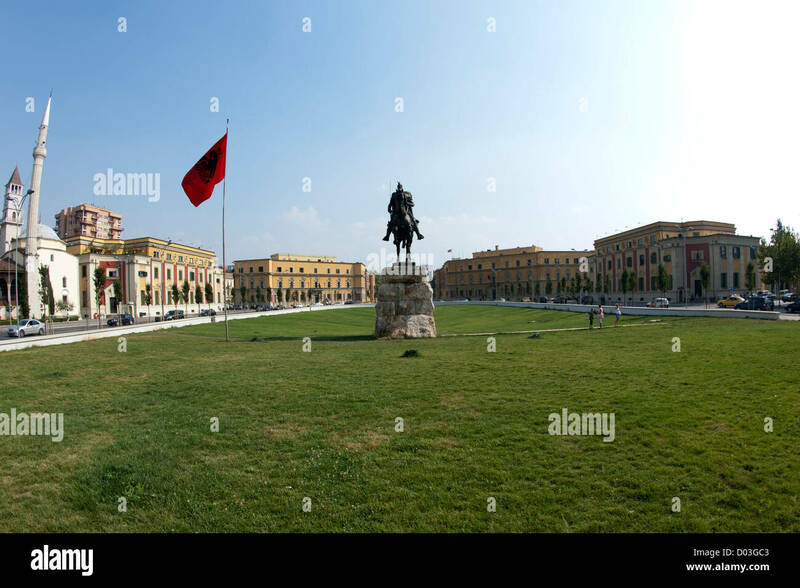 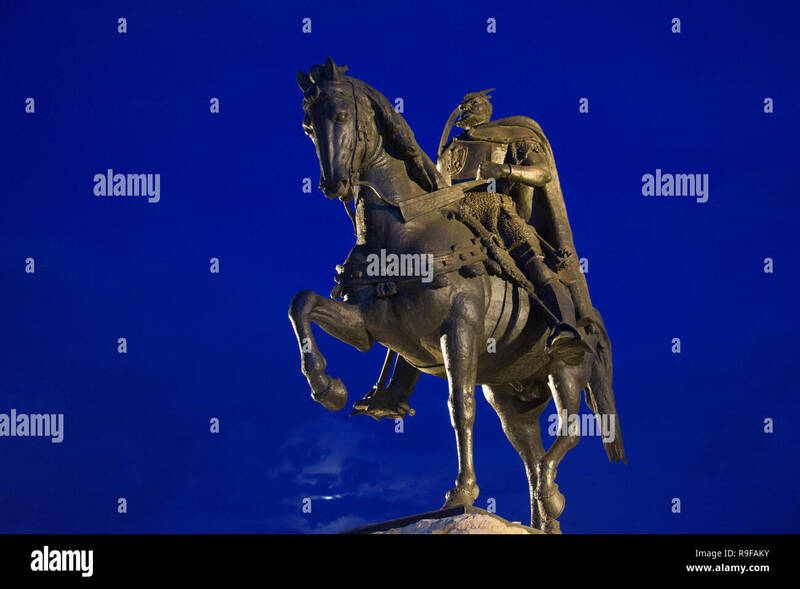 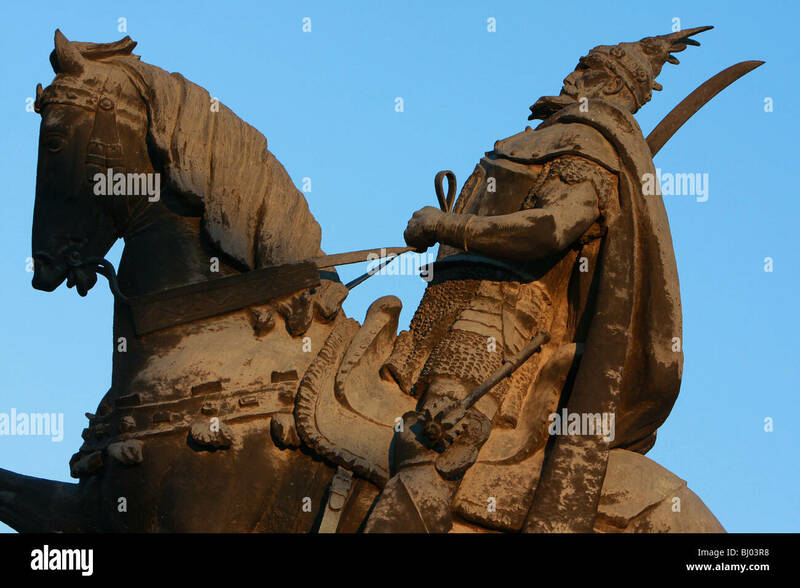 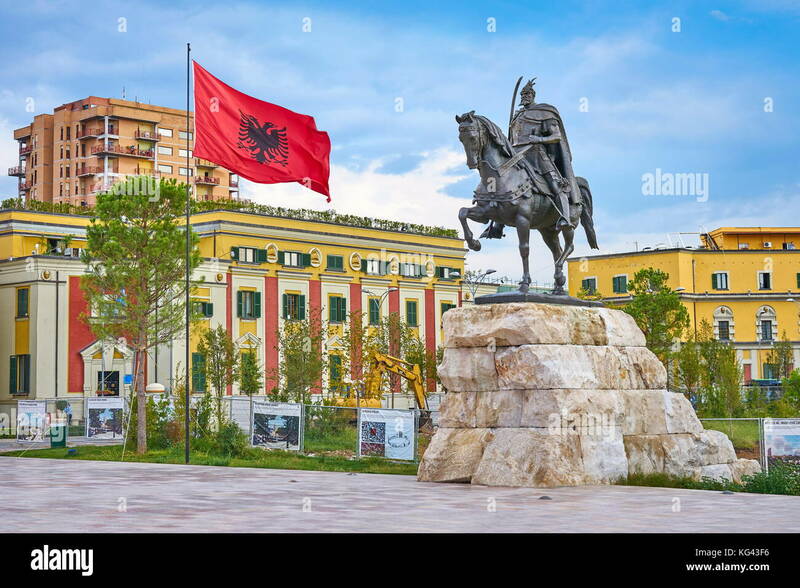 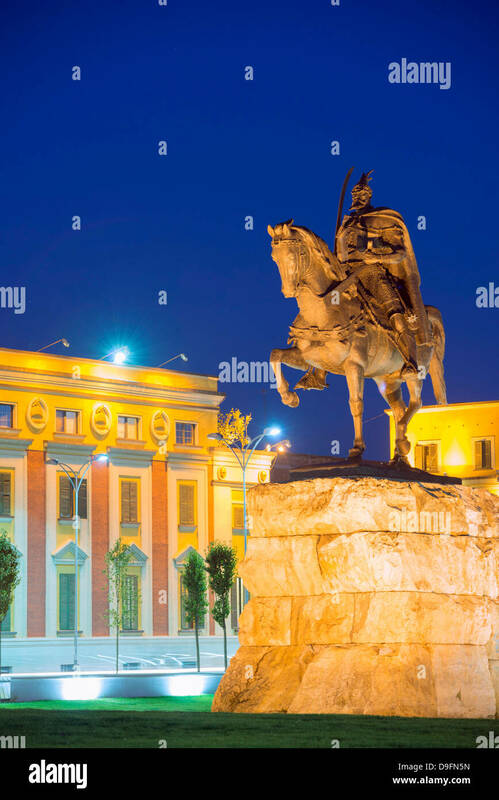 Skanderbeg Square and the Skanderbeg monument in Tirana, the capital of Albania.